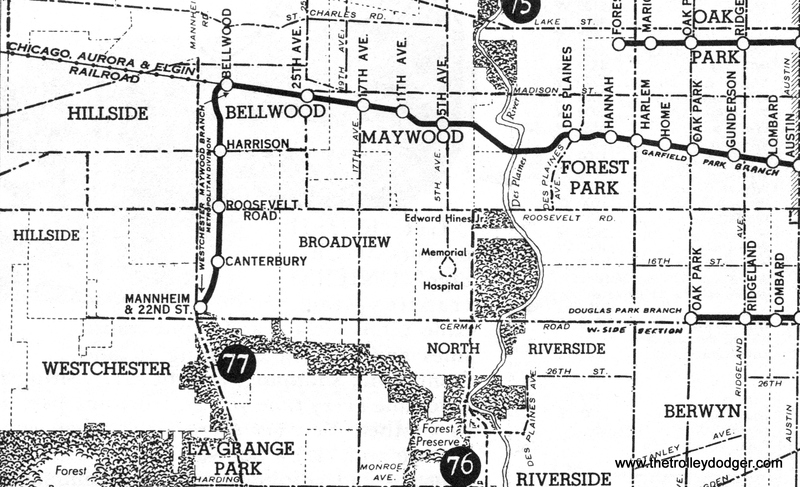 The “Westchester-Maywood” route, from a 1948 CTA map. This 1943 map shows where the Westchester branch ran. 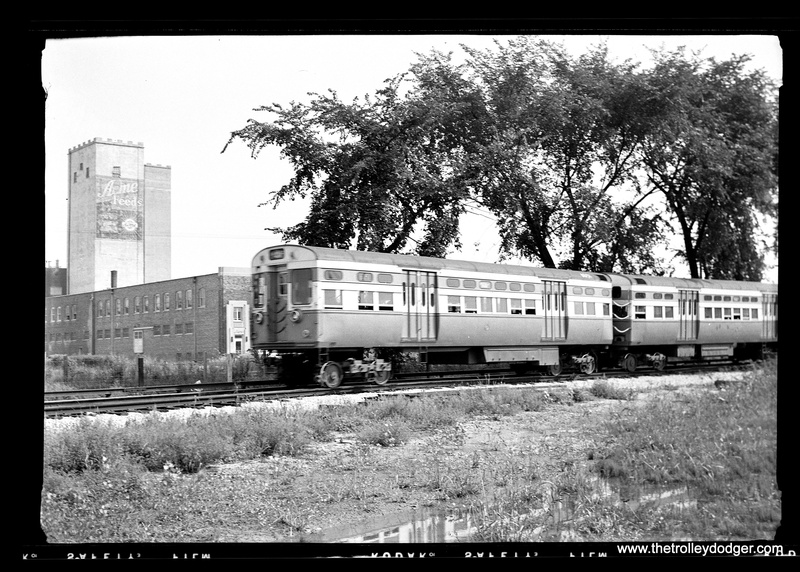 It’s always interesting to speculate on what “might have been,” especially in the case of the Chicago, Aurora & Elgin, whose trains ran from 1902 to 1957 in Chicago’s western suburbs. What could have been saved? What should have been saved? And, what can we learn today? 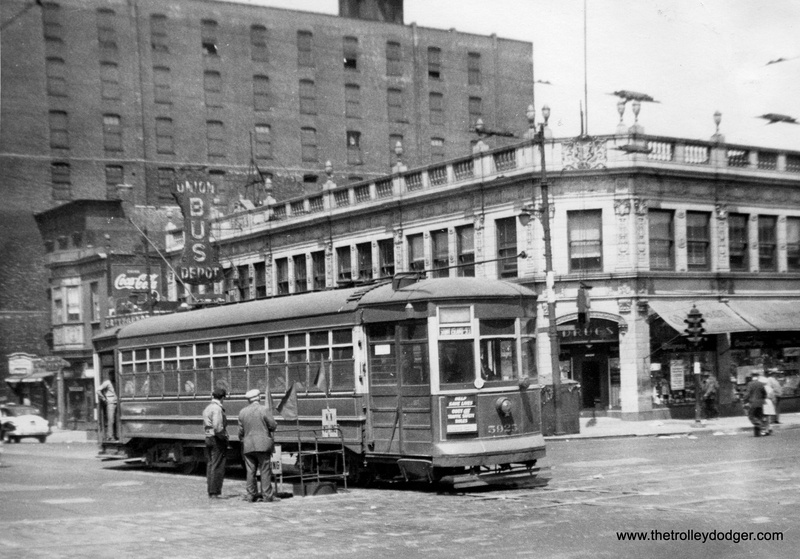 As you may know, ultimately nothing was saved, except the portion between DesPlaines Avenue and Laramie, which was taken over by the CTA in the early 1950s. 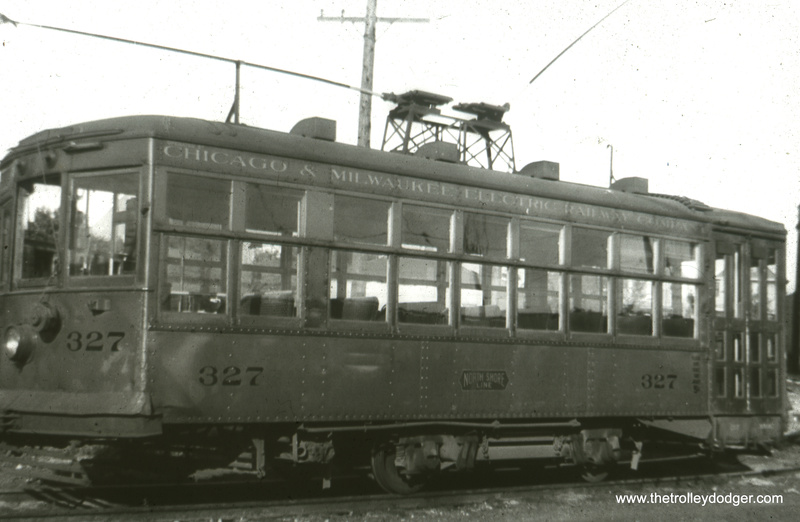 That operates today as the outer portion of the Chicago Transit Authority‘s Forest Park branch of the Blue Line. 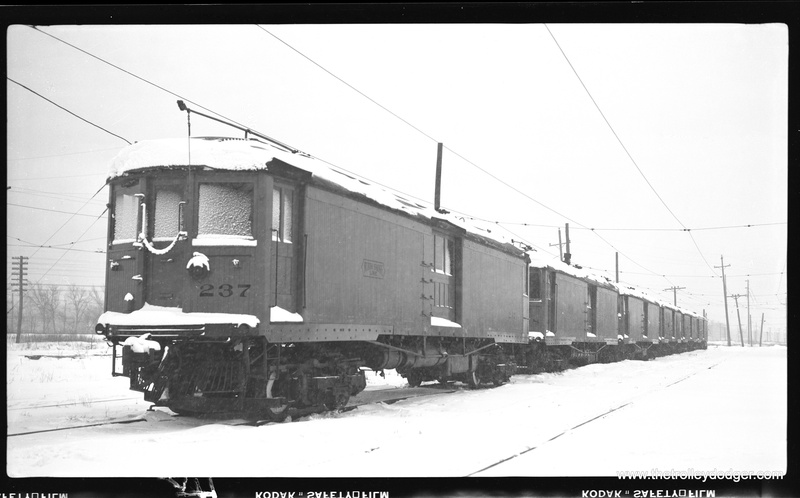 Speculation usually centers on whether the entire railroad could have been saved, bought by the State of Illinois, or at least, the portion to Wheaton. 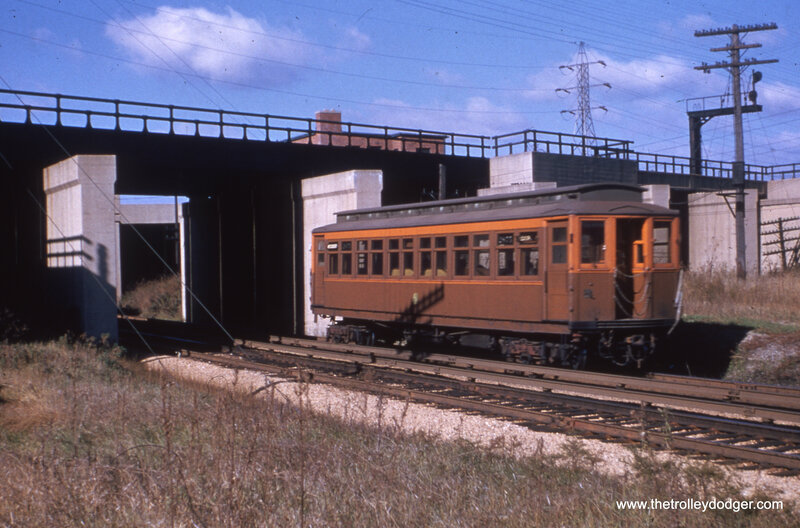 But in general, this section, the most viable part of the interurban, ran parallel to the Chicago & North Western‘s West Line, which continues to operate today under the aegis of Metra. The State of Illinois made an offer to buy CA&E in 1956, and then backed out of the deal for various reasons. The only public entity that could have operated any portion of the railroad would have been the CTA, and yet their operating area was limited to most of Cook County. 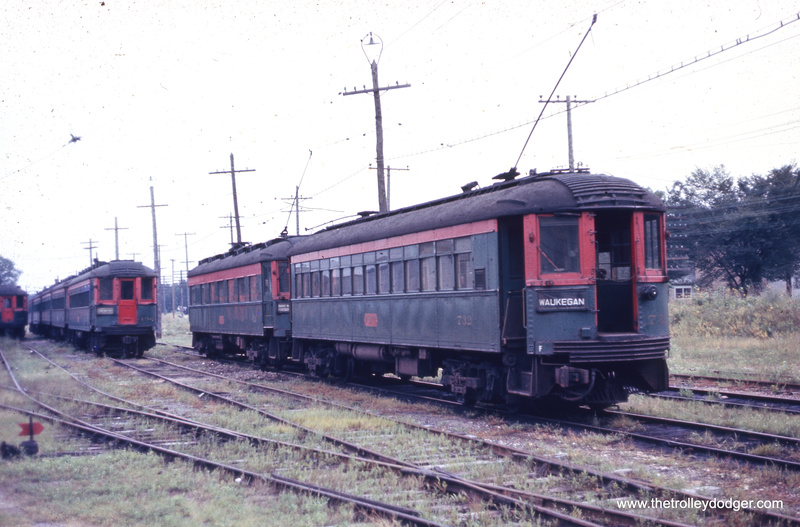 In the long run, CTA would have ordered more new rapid transit cars, high speed versions of the single car units 1-50 that were built in 1960. 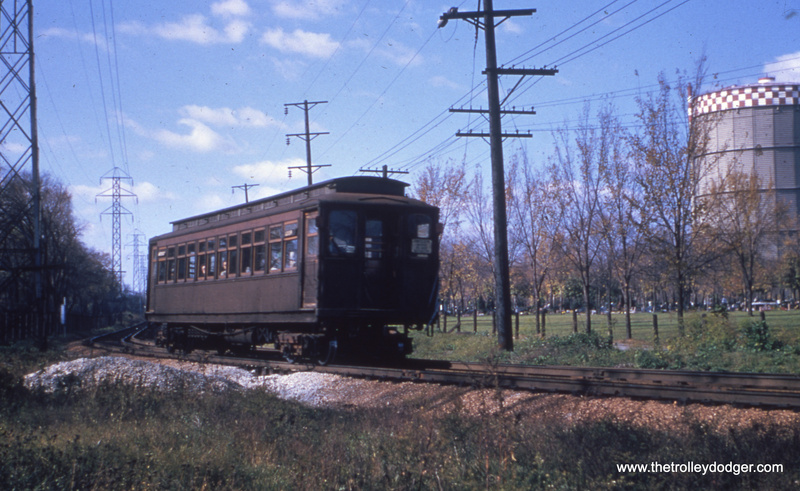 These type of cars would also have been used if the CTA had been able to take over larger portions of the North Shore Line than the five miles that became the Skokie Swift (today’s Yellow Line) in 1964. In retrospect, the opening of the Congress (now Eisenhower) expressway would have depressed ridership, so there is no way of knowing if such a CTA shuttle service would have been successful. But there was no way to pay for it, in the political context of the time, and therefore these plans were unrealized. But, if it had happened, most likely such a service would today be a treasured part of Chicagoland’s transit infrastructure. 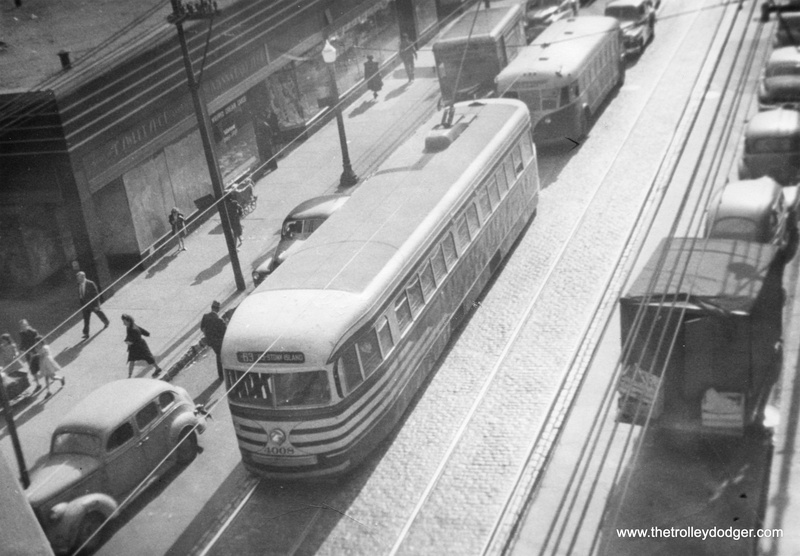 But if we go back a little further in time, incredibly, there was rapid transit service operated by the CTA that ran to Mannheim and 22nd Street as late as 1951. This was the 5.6 mile long Westchester branch, a victim of budget cuts and expressway construction. 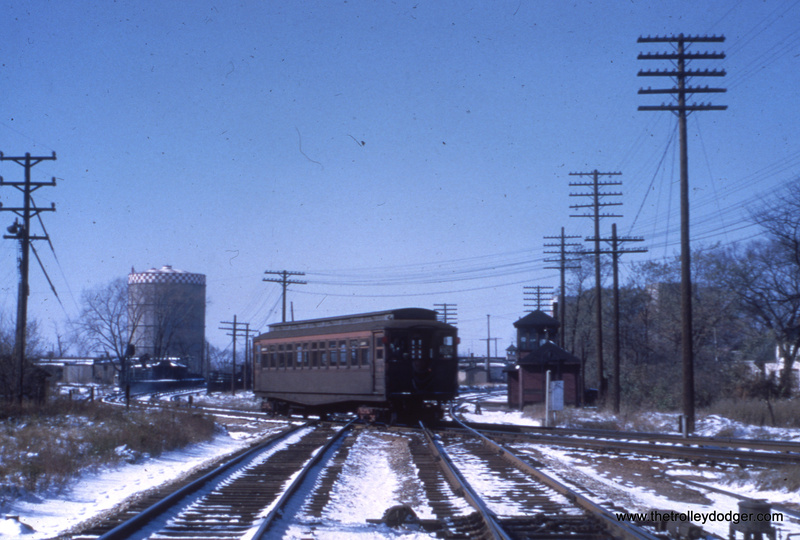 The Westchester branch was part of an ambitious mid-1920s Insull plan to create a high-speed CA&E bypass, similar to the North Shore Line’s Skokie Valley Route. 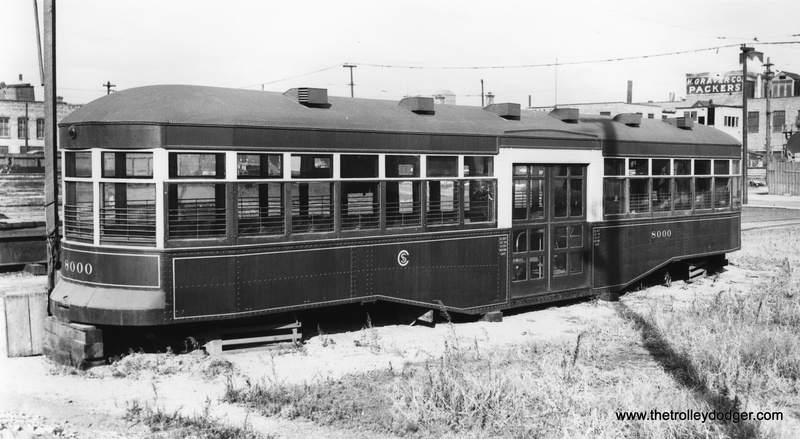 However, there was less of a need for it, and by the time the Depression hit and Samuel Insull‘s empire collapsed, only 2.2 miles of it had been built off the CA&E main line, and local service was being provided by the Chicago Rapid Transit Company. 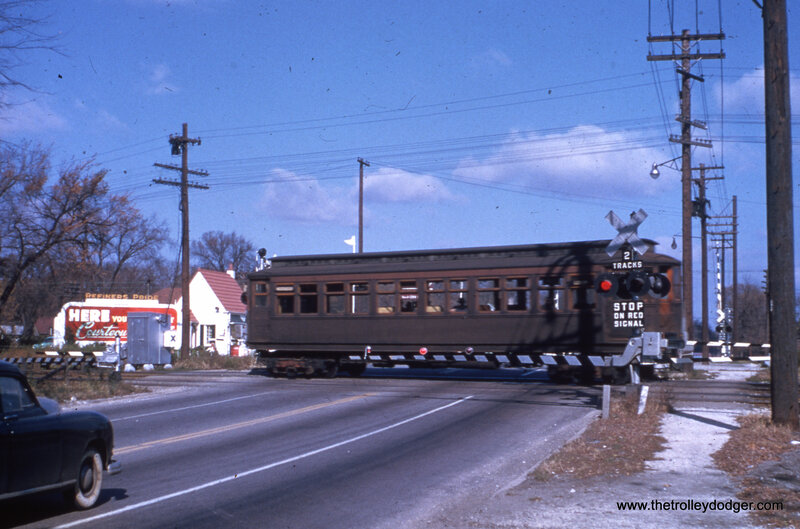 The Depression also put a stop to the pace of housing development in Bellwood and Westchester, as it had in Niles Center, where the CRT ran local service in a similar fashion. 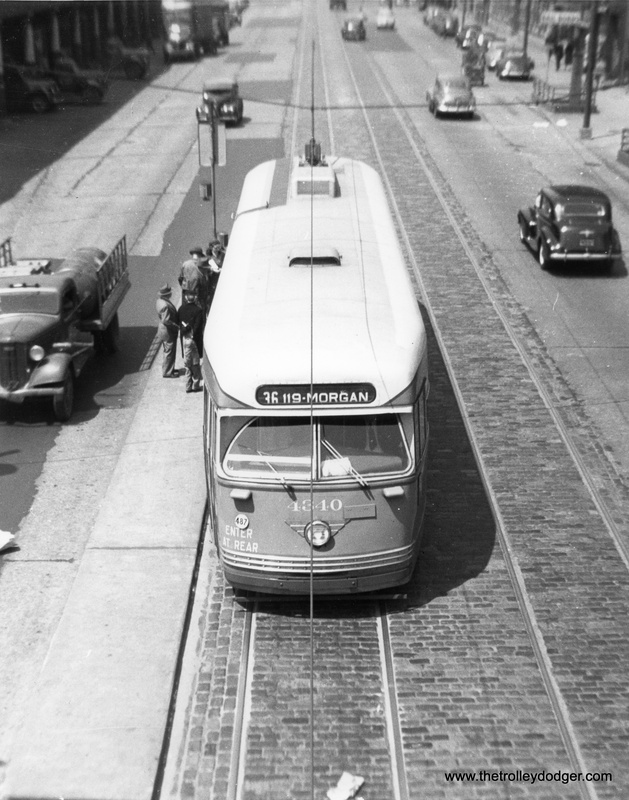 The “build it, and they will come” strategy was not unusual at the time, and had been successfully followed some years earlier when rapid transit service was extended to the Ravenswood neighborhood. 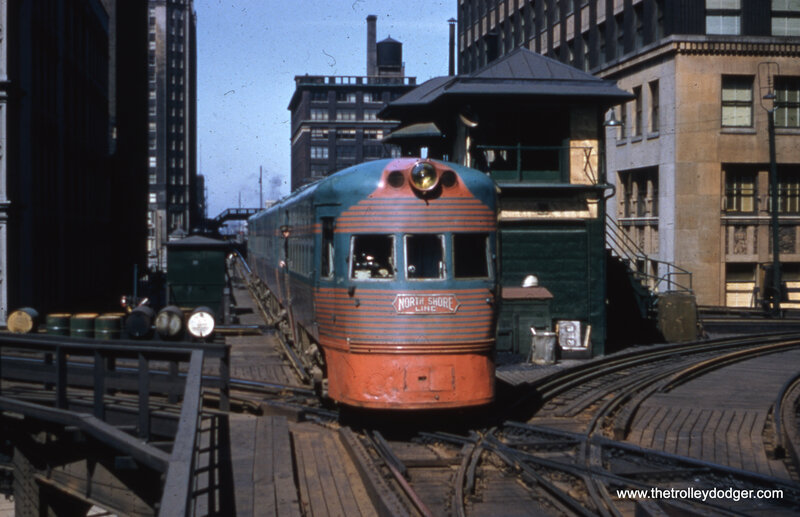 With the CRT in receivership, things remained “status quo” until the creation of the Chicago Transit Authority, which took over operations on October 1, 1947. 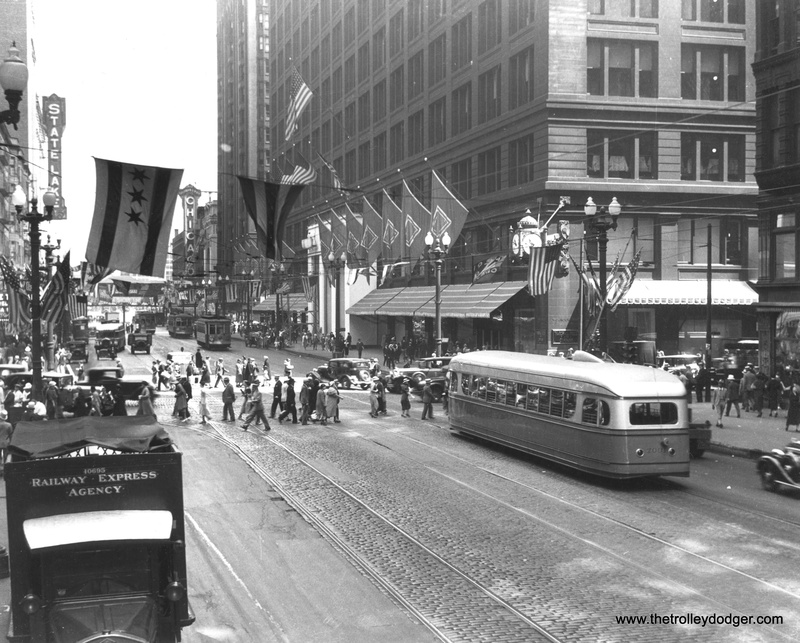 In these heady early days, it was thought that modernization would reaped quick benefits, and there were efforts by the CTA to improve service to outlying areas, with the creation of extension bus lines and express buses. Within a few years, however, there was nothing but red ink, and without taxing authority, the cash-strapped CTA had no choice but to cut unprofitable services wherever possible. The lightly-used Westchester branch was an obvious target for elimination, since CTA was a tenant, paying rent to the CA&E, who owned the tracks. 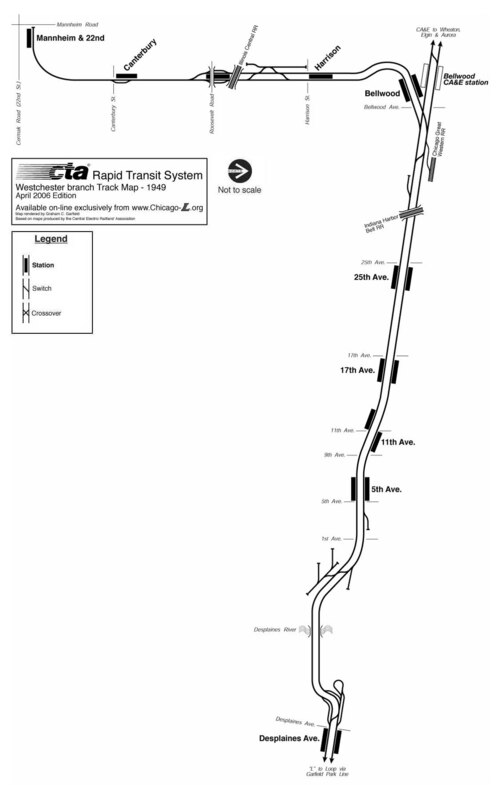 From CTA’s point of view, they saved money by eliminating rapid transit service west of DesPlaines Avenue, and tried to retain whatever ridership was there with replacement bus service, creating the #17 route, which continued to run for decades (and has now been completely replaced by parallel Pace suburban bus service, the #317). Expressway construction was also a factor. 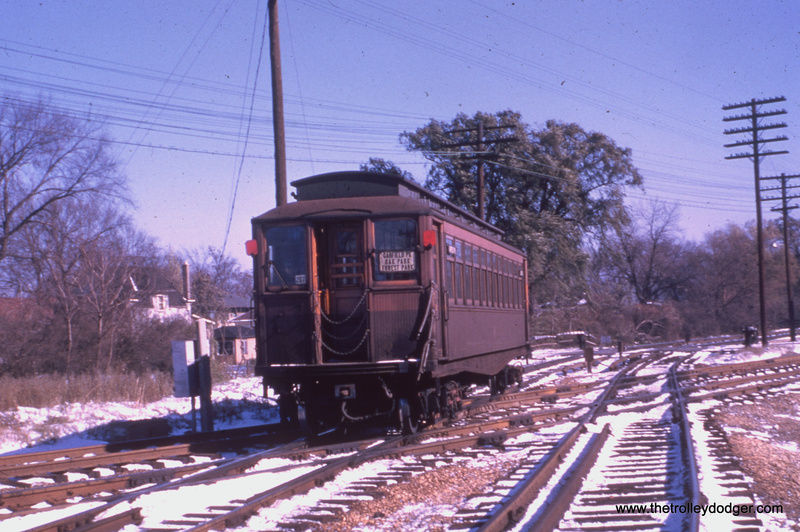 The CA&E and CTA shared each other’s tracks, and compensated each other in turn. By the early 1950’s, these payments totaled about $250,000 per year and largely cancelled each other out. But a 2.5 mile section of the CTA’s Garfield Park/Met “L” would need to be relocated for five years, since it ran smack dab in the middle of where the Congress expressway would be built. 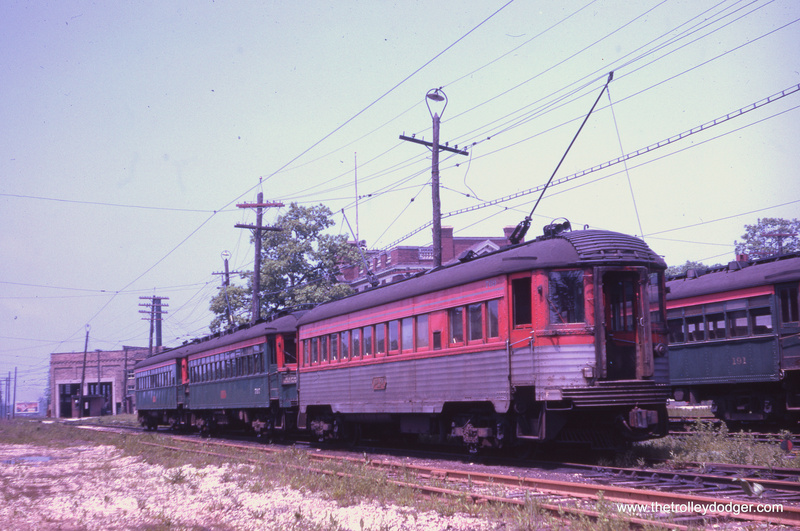 After nearly 50 years of joint operation on Chicago’s west side, coordinating the plethora of daily CTA and CA&E trains was difficult at best, and required near split-second timing. 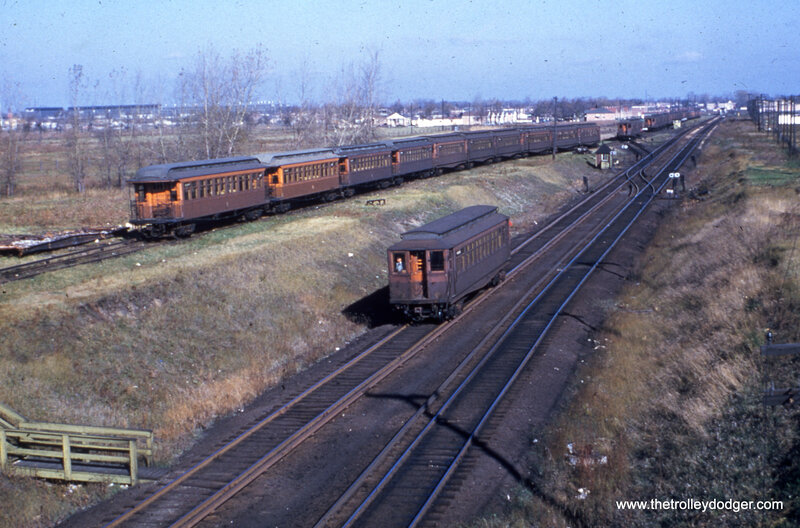 Schedules were complicated and there were various passing sidings, where expresses would be routed ahead of locals. 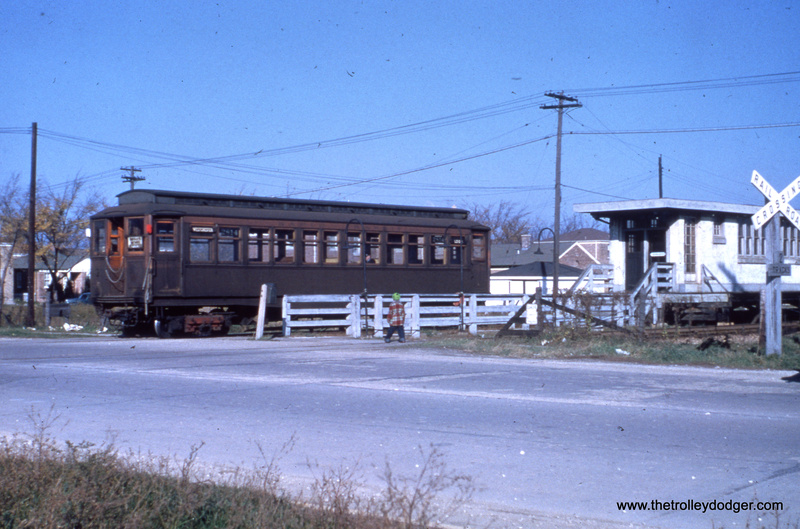 The CTA (and the City of Chicago’s) original idea for relocating Garfield service was for a wooden “L” structure along Van Buren Street. 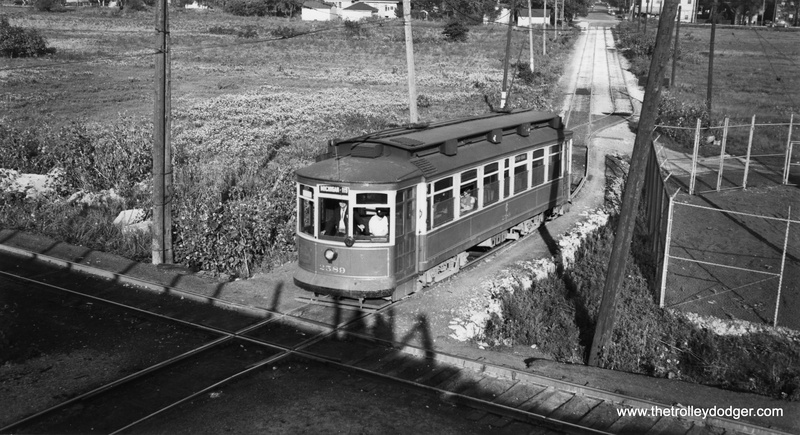 Presumably this grade separated service would have been fine with the CA&E, but the local alderman objected, and rather than face a lawsuit, which would have delayed the project, the City Council turned to Plan B– grade level rapid transit service, bisected by several cross streets. 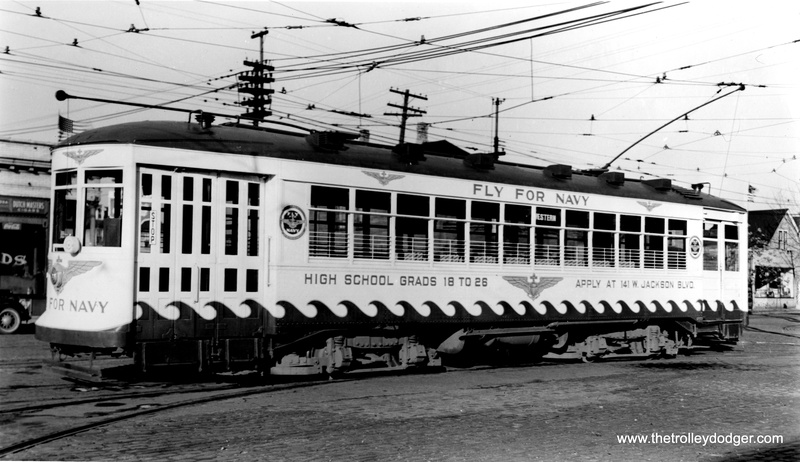 This was originally promoted as a “street railway” service, which may be how they justified not using crossing gates. 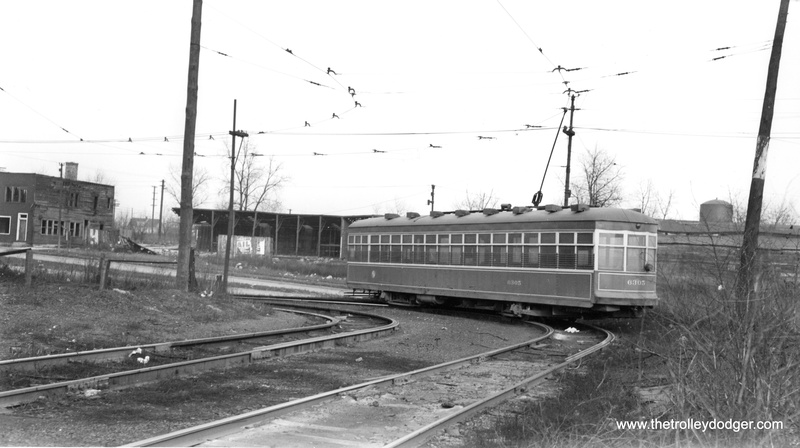 At first, it was thought that overhead wire could be used, but the Met cars did not have trolley poles, and this would have involved shifting around a lot of equipment. 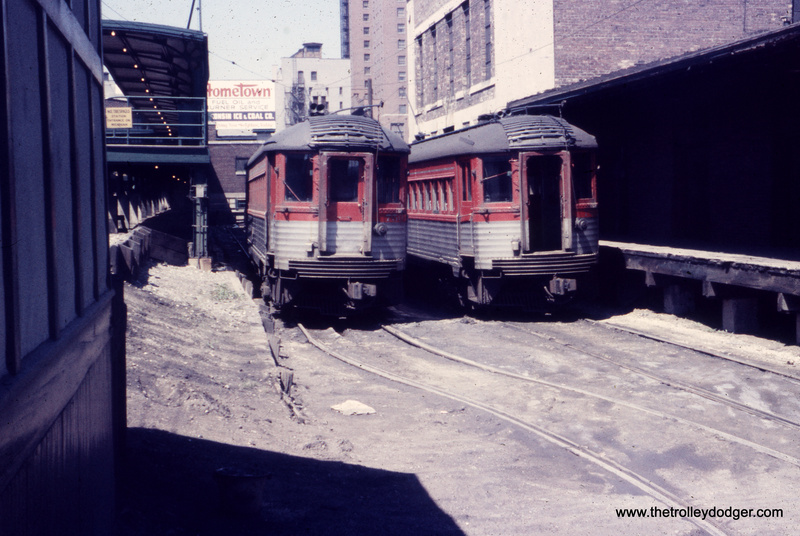 So, ultimately, the Van Buren Street temporary trackage used third rail without any more crossing protection than stop lights. In 1951, CA&E management decided that this plan was unworkable for them, and would cause too many problems for efficient and safe operation. In a letter to their shareholders, CA&E proposed elimination of rail service on the interurban (presumably, freight service would continue), to be replaced by buses that would take riders from the western suburbs to the CTA Lake Street and Douglas Park “L”s. CTA, for their part, anticipating that CA&E would soon become a bus operator only, began planning for a bus-to-rail transfer point between CA&E and CTA. 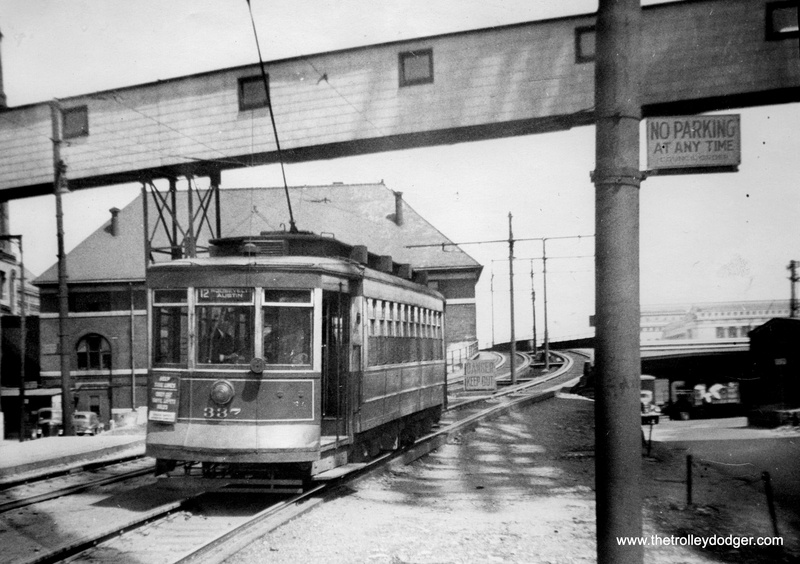 At first, it was thought this would take place at Central Avenue, a point just west of where CTA’s own rails ended. 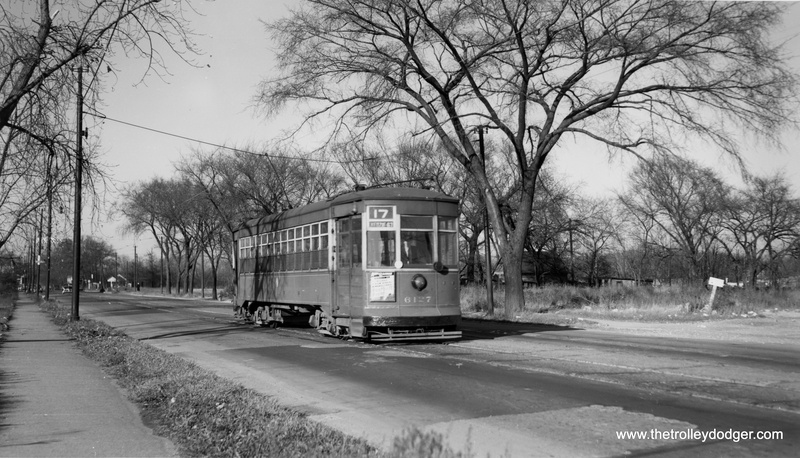 But by 1953, this transfer point was moved west to DesPlaines Avenue in Forest Park. Meanwhile, existing bus operators in the western suburbs had successfully blocked CA&E’s plans to substitute bus service for rail. 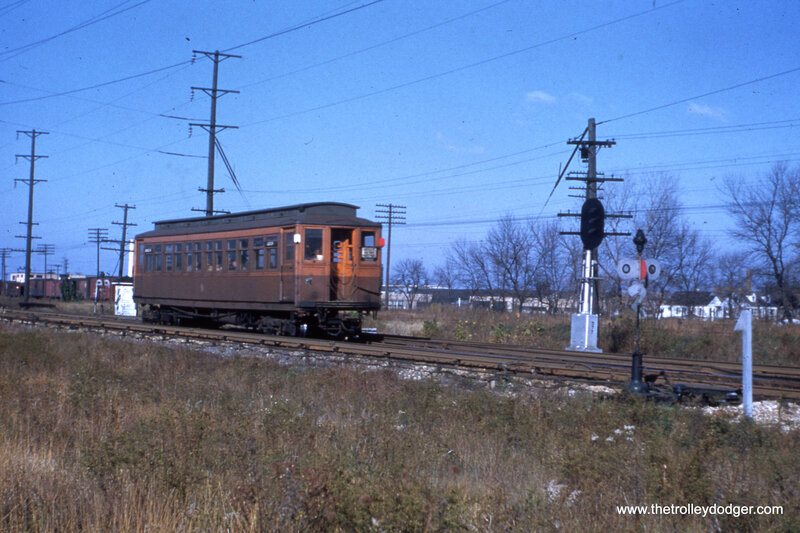 Therefore, they had no real alternative to cutting back rail service to DesPlaines Avenue. 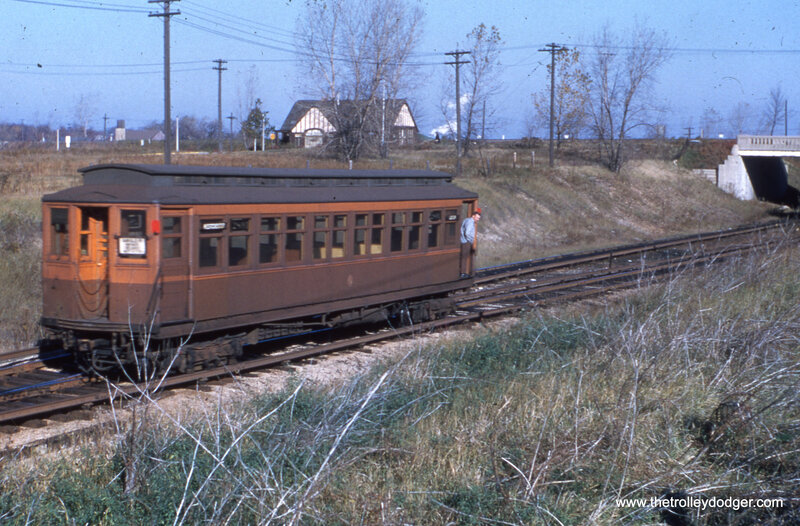 This is how service was operated from September 1953 to July 1957. By then, CA&E ridership had been decimated, adn the railroad successfully petitioned to “temporarily” abandon rail service. The abandonment actually helped facilitate expressway construction near the DesPlaines River, since no temporary service would need to be built. The railroad, in a sense, was still “made whole,” since by 1959 new rails were put in place for a connection to the CTA DesPlaines terminal. 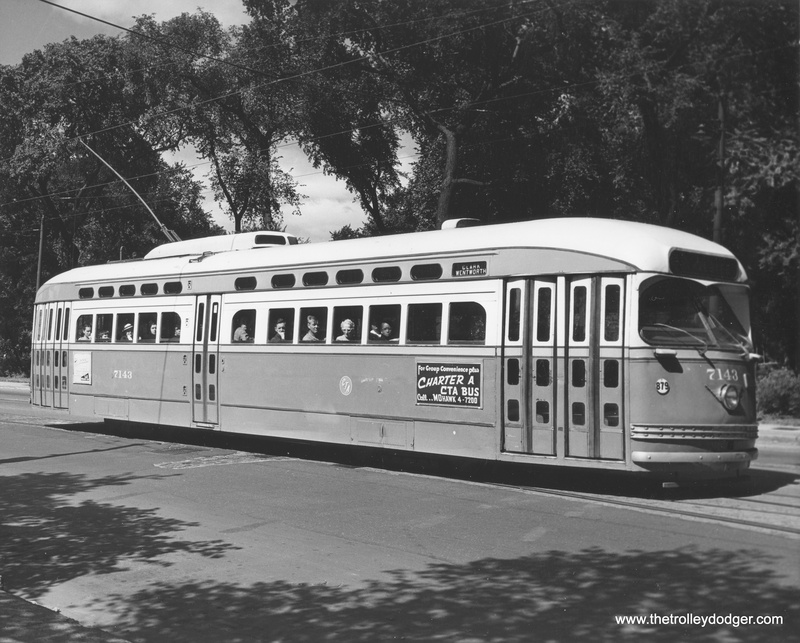 These are plainly visible in an aerial view in the 1961 CTA Annual Report, but they were never used, and the CA&E did not resume regular passenger service, and was liquidated in 1961. 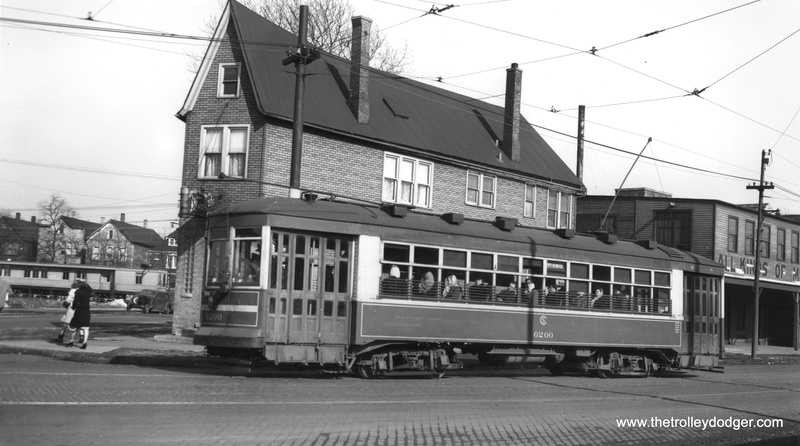 Attempts to save the interurban were too little, too late, and the suburbs that would have benefited from continuing service refused to contribute with tax revenue. 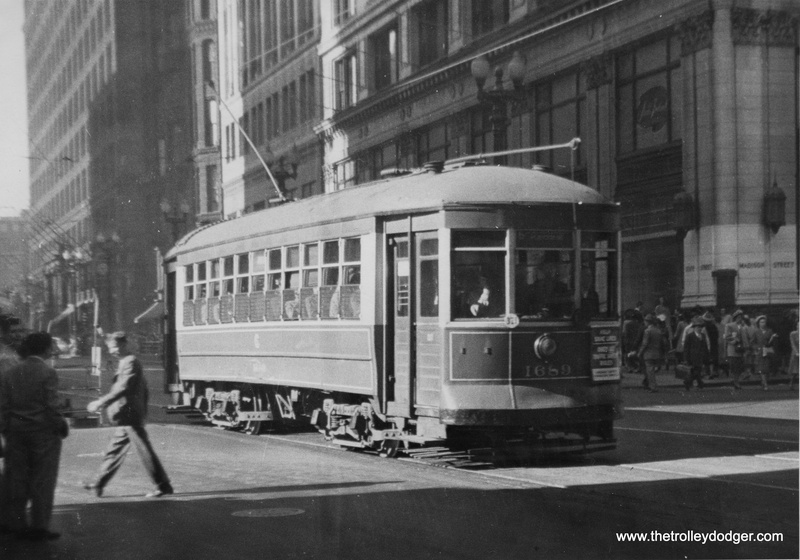 Between 1948 and 1957, the CTA eliminated about 25% of the rapid transit system it had inherited from CRT. This was mainly by slashing lightly-used branch lines (Stockyards, Kenwood, Humboldt Park, Normal Park, Niles Center, and Westchester). 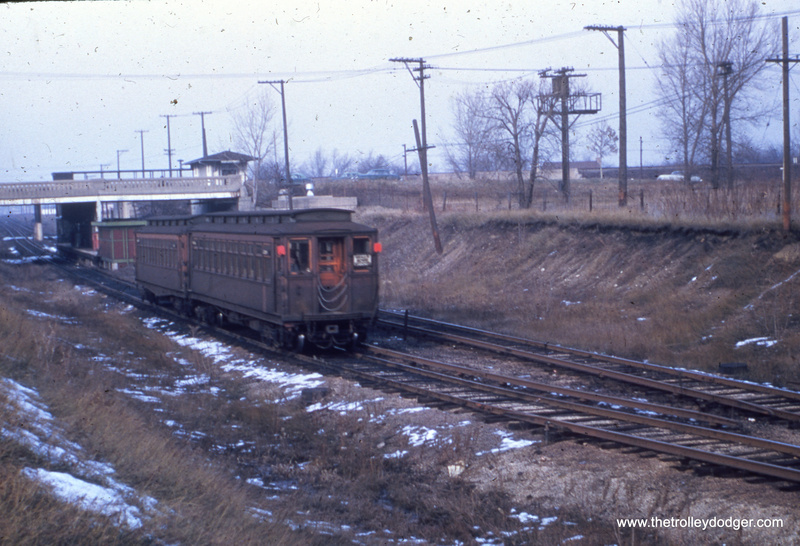 At one point, the CTA even proposed turning over the Evanston branch to the North Shore Line, but this did not happen. 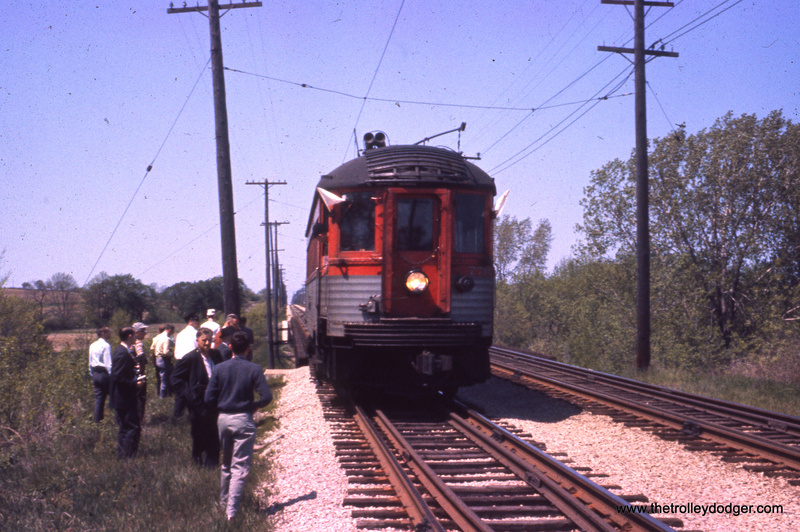 By 1964, it seems the CTA had changed its mind about branch lines, for in April of that year, the phenomenally successful Skokie Swift service began running between Dempster and Howard, over five miles of former CNS&M right-of-way. By this time, some federal funding was available through a pilot program. CTA had to buy half of the Swift trackage anyway, just to access Skokie Shops. 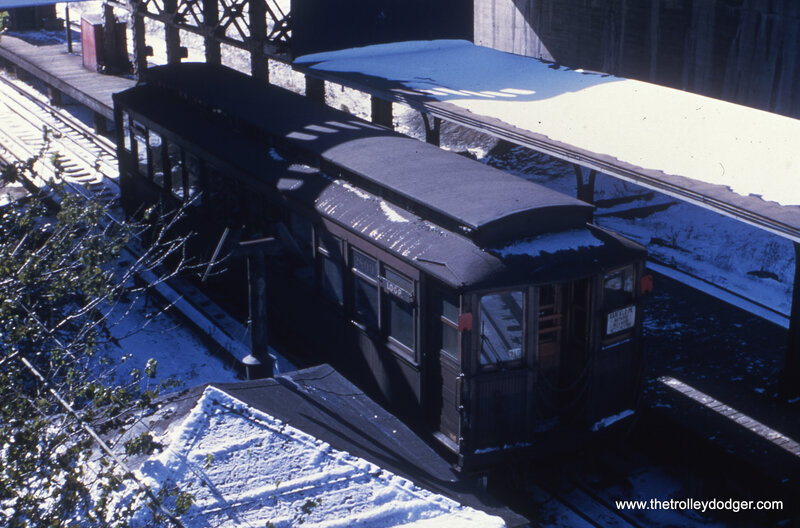 Here, the CTA used fast, frequent service and a large park-and-ride lot to attract riders. And although it scarcely seems possible that the Westchester branch could have been saved in 1951, it would really fill a need today. Imagine a west side corollary to the Skokie Swift. By the early 50s, Bellwood and Westchester were prime areas for the postwar housing boom. This is especially true since these areas would soon have access to an important new highway. Growth in Westchester was being held back, however, since the same developer that had owned much of the property since the 1920s wanted to build all the housing themselves, thereby limiting construction somewhat. After the CTA abandoned the Westchester branch, the CA&E liquidated the property, and the proceeds were distributed to the shareholders, instead of being reinvested in the money-losing railroad. This was the first of CA&E’s large-scale liquidations, where various portions of the railroad were sold to benefit the stockholders. 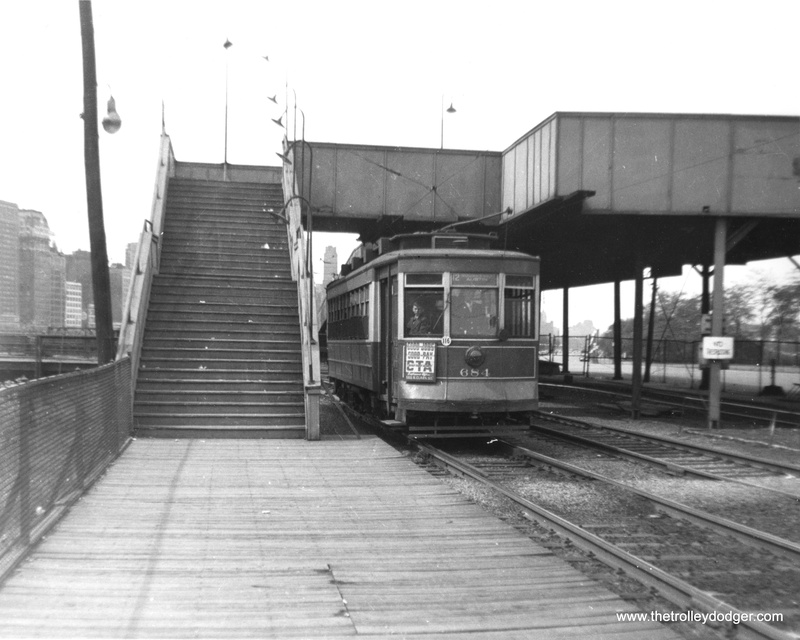 Getting back to what “might have been,” imagine how well the CTA would be doing today, if it had built a large park-and-ride lot at Mannheim and 22nd Street in the 1950s and kept the Westchester branch. 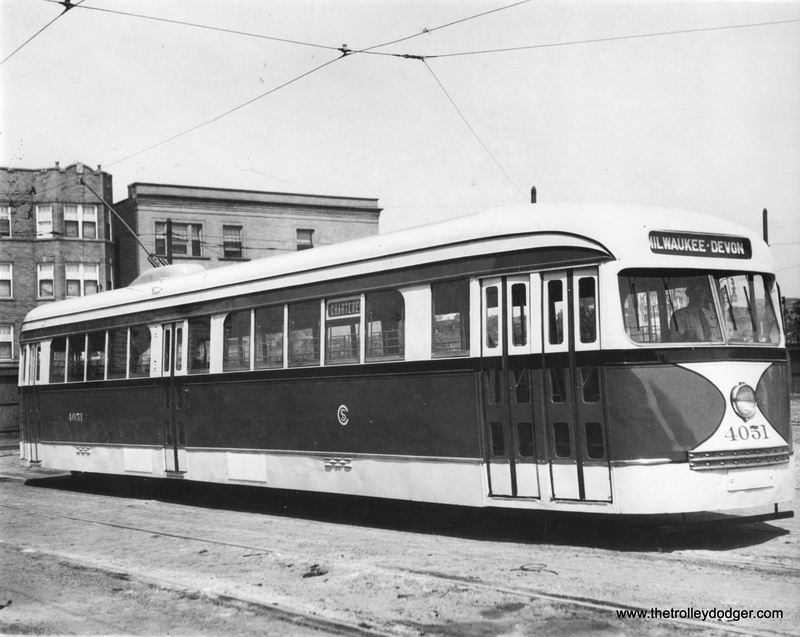 As the area boomed in the mid-1950s, this service would have had tremendous potential. State transportation officials presented a narrowed list of four proposals that they say will improve travel on the Eisenhower Expressway, all of which include adding a lane to the highway and also extending the CTA Blue Line. The four proposals, all of which include widening the highway between Austin Boulevard and Mannheim Road, extending the Blue Line to Mannheim and express bus service extending westward from Mannheim, were presented to a community task force. They will be further evaluated by state transportation officials as they study ways to make Interstate Highway 290 more efficient, said a manager of the project, Peter Harmet, bureau chief of programming for the Illinois Department of Transportation. So, what “might have been,” may still be yet. We shall see. 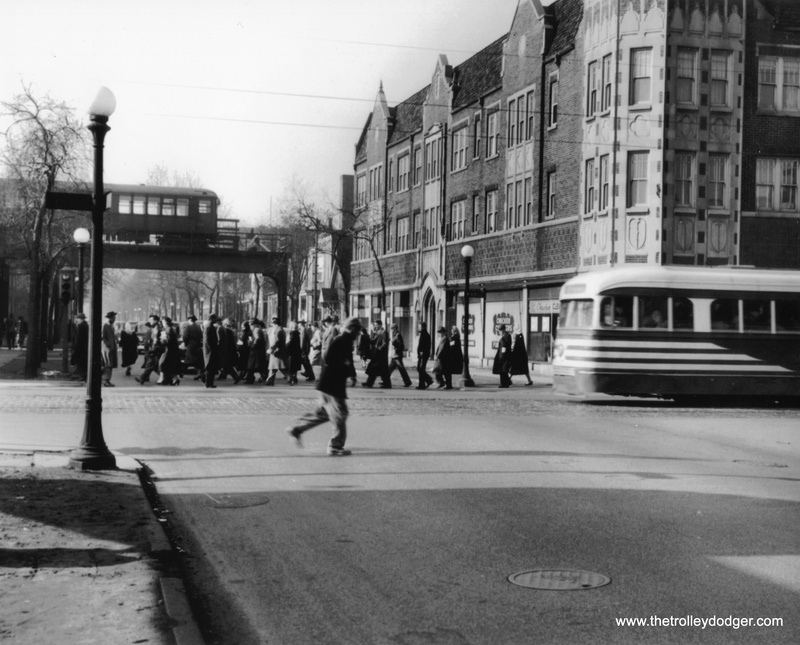 After reading your January 2015 story on the CTA Westchester Branch, the picture of the train crossing Madison street in Bellwood brought back some great memories. I grew up in that house, my grandfather was Clarence Lemm, track foreman for the Aurora and Elgin Railroad, he died in 1936. My father followed in grandpa’s footsteps, he worked at CTA 43 years, he started as a clerk and retired as the head of insurance and pensions. When my brother and I were very young my dad would take us for rides on the Aurora and Elgin, he used grandpa’s Sunset Lines employee pin and we all road free of charge. Thank you for some great memories! 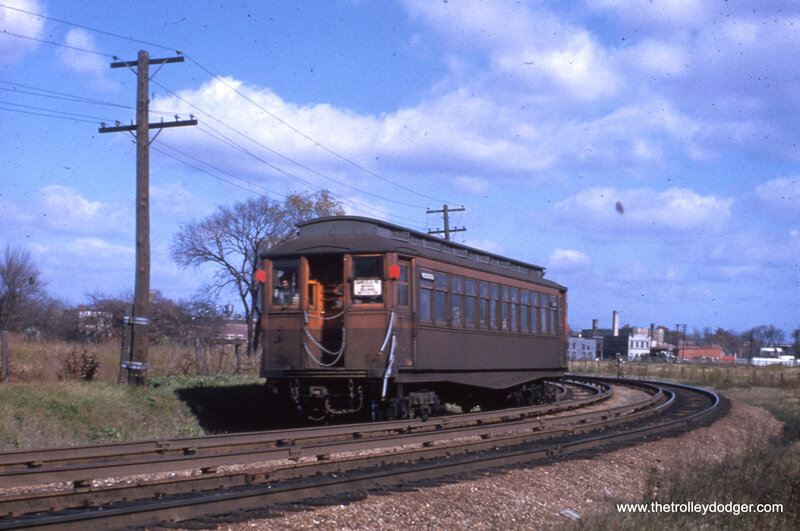 Some knowledgeable sources reported that CTA retained a section of the Humboldt Park Branch after the “L” shuttle service quit running in the E50s, to use as a CA&E turnback/layup facility. 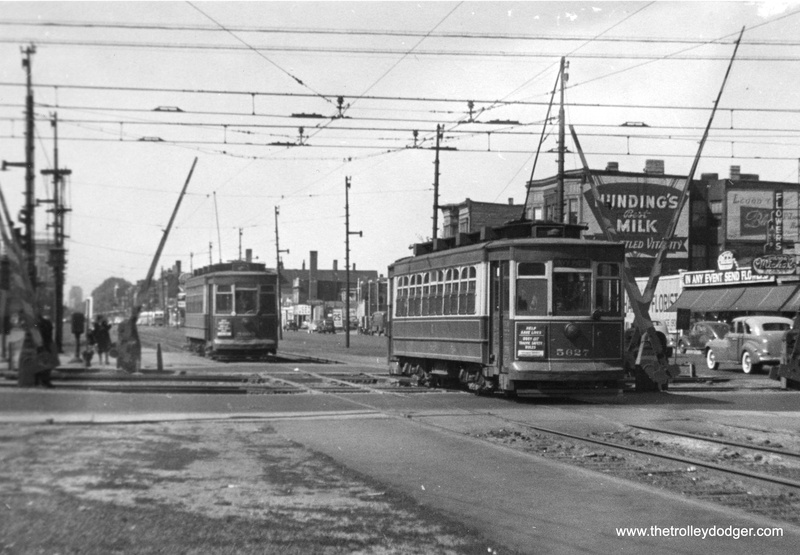 Humboldt Park was the “L” line that ran parallel and to the north of North Avenue, joining the Milwaukee Avenue “L” line at the North/Damen station. I believe we are looking east near Central Avenue, where the line curved around the south end of Columbus Park. This is approximately where the CTA Blue Line goes through the Lotus Tunnel. 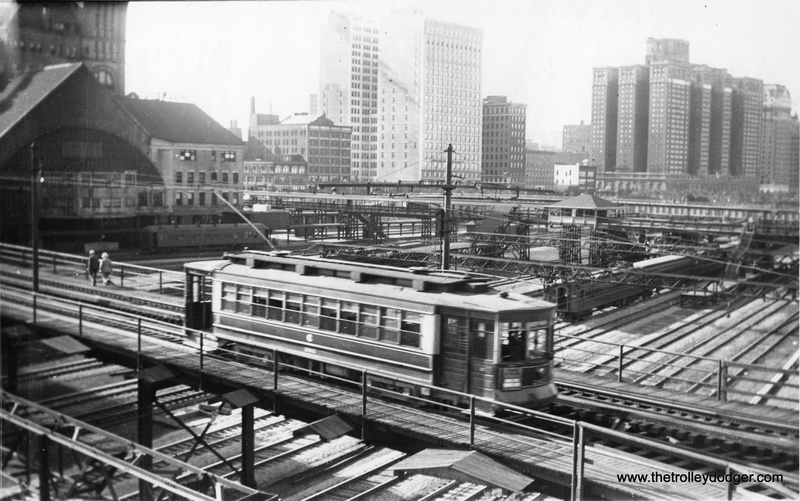 A small portion of Columbus Park soon gave way to the Congress (now Eisenhower) expressway. 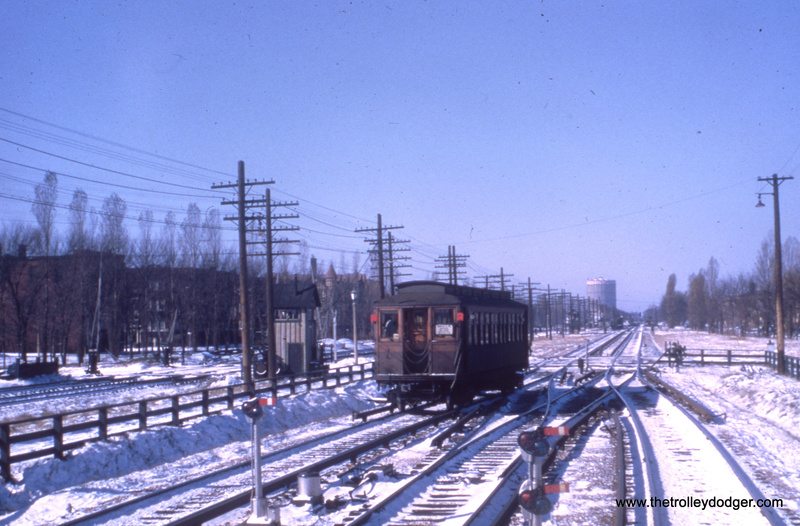 An eastbound single car near Central Avenue, at the south end of Columbus Park, now the site of the Eisenhower expressway. 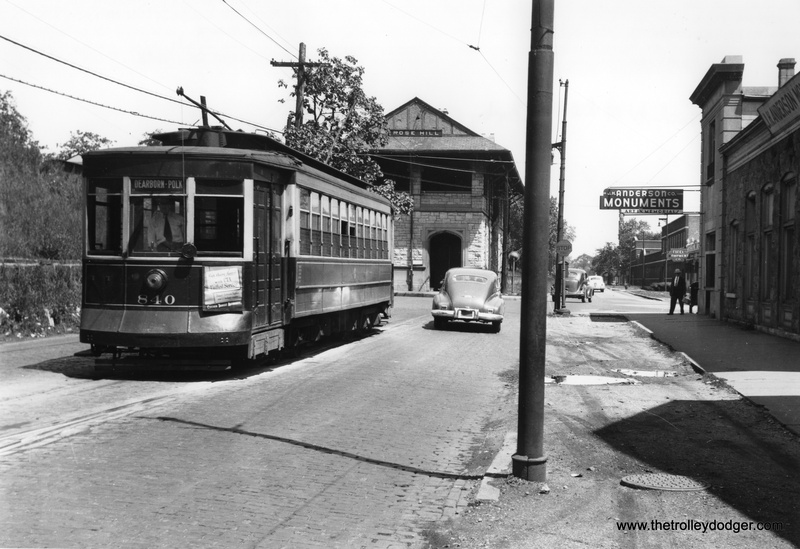 The passing tracks in this photo are a clue that we are near the Gunderson Avenue station in Oak Park. The Forest Park gas tank is at rear, so we are looking west. Looking west where the rapid transit crossed the B&OCT. 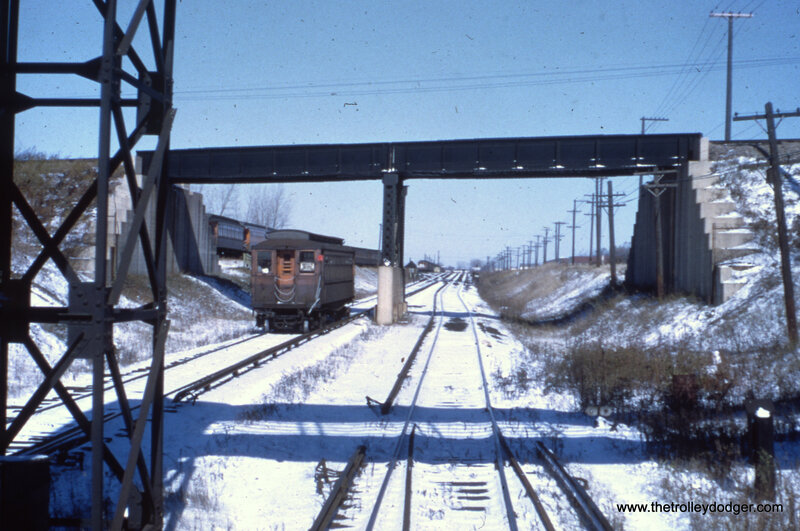 Behind the car, the freight line branched off in two directions, to the CGW and Soo Line. A pair of Met cars crosses the B&OCT heading east. This has since been grade separated. The gas tank in the background was a Forest Park landmark for many years. Here the the same crossing, but now we are looking east. This is now where I-290 runs through. 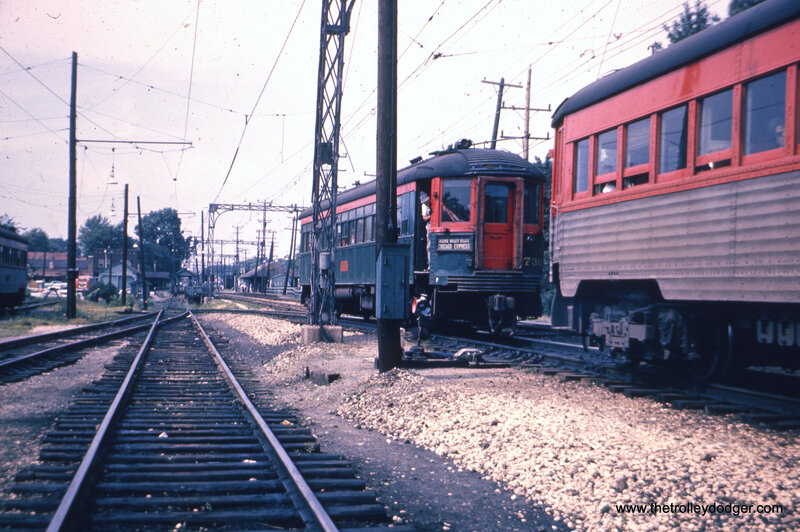 CTA 6051-6052 at the DesPlaines Avenue terminal in the 1950s. The Acme Feeds (7715 W. Van Buren) towers at are at the background. Among other things, they sold a product called Acme Worm Bouncer. After being abandoned for many years, the towers caught fire in 1980 and were demolished. This is one of my favorite shots. 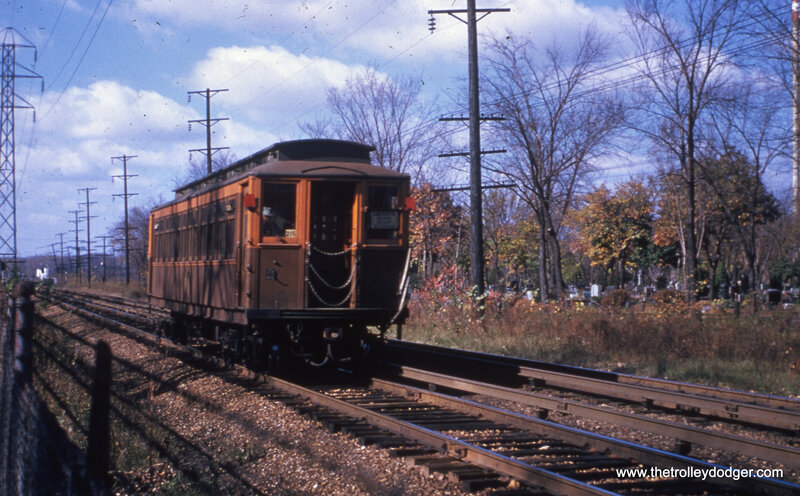 An eastbound single car passes cemeteries in Forest Park, having just crossed over the DesPlaines River. This is the approximate location of the Eisenhower expressway today. The train is curving towards the DesPlaines Avenue station. The iconic gas tank was removed many years ago. An eastbound Westchester car passes by Concordia Cemetery at right, having just crossed the DesPlaines River. This is where the Eisenhower expressway runs today. This picture presents somewhat of a mystery. 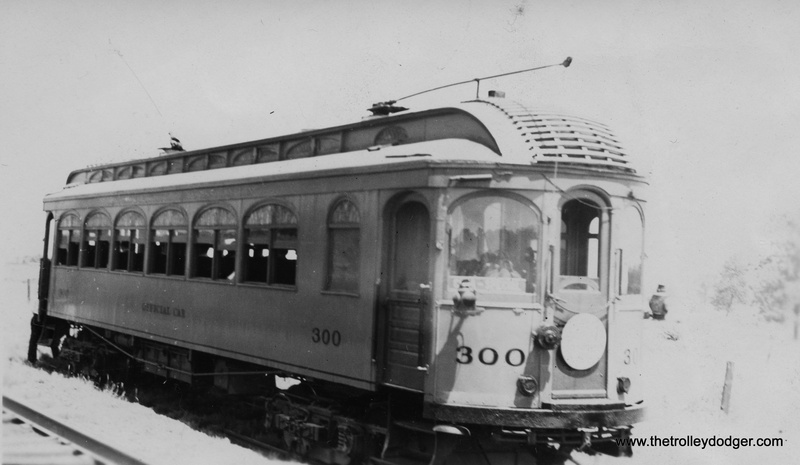 Car 2311, signed for Westchester, is identified as being in Maywood on July 21, 1934, with a 4000-series car behind it. There were some storage tracks east of First Avenue, but I am not sure whether CRT used these. Or perhaps these cars are near DesPlaines Avenue. Here, we are just east of First Avenue, with an eastbound train approaching. You can just make out the sign on the Refiner’s Pride gas station behind the car. We are looking northwest. Commonwealth Edison occupies this site today. 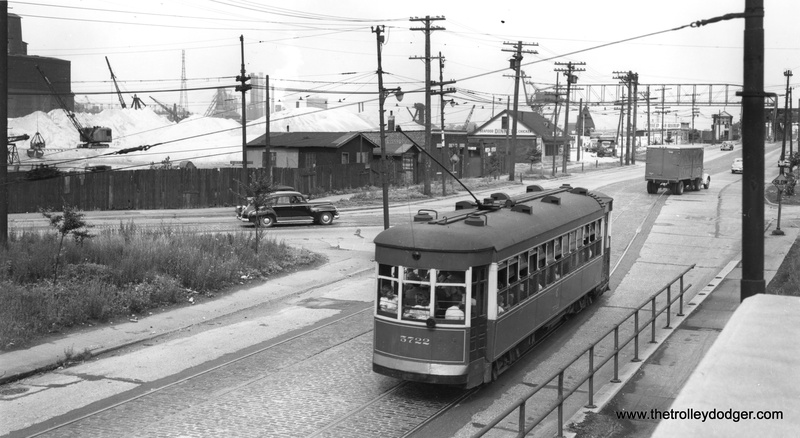 A westbound Westchester car crosses First Avenue in Maywood. 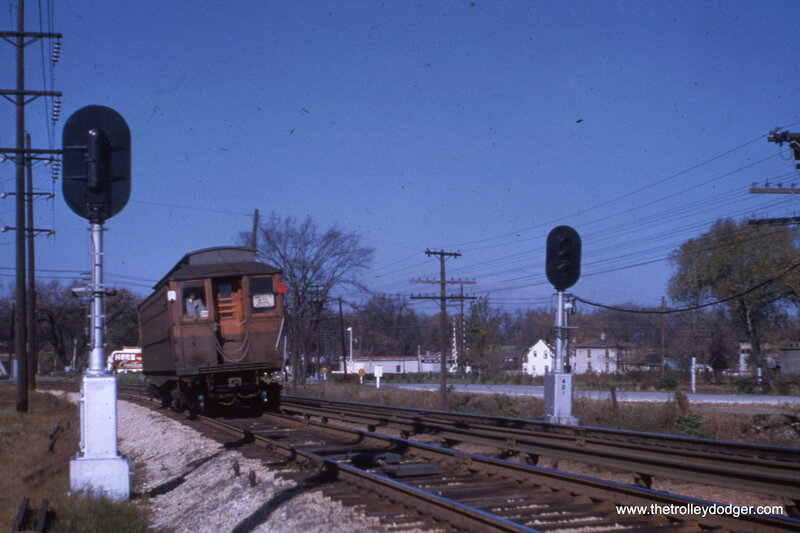 East of here (right), the line ran at an angle before crossing the DesPlaines River. This is where the Illinois Prairie Path starts today. The “Refiner’s Pride” gas station at left was part of a chain run by “Montana Charlie” Reid, who also owned a restaurant in Villa Park. An oil change business now occupies the site of the former gas station. Reid also owned Montana Charlie’s Flea Market in Bolingbrook, along historic Route 66, which is still in operation. On December 7, 1958, CA&E wood cars 319 and 320 operated the last passenger train on that venerable railroad as a charter. Here, we are at Fifth Avenue station looking east. After the CTA abandoned the Westchester branch, this station was repainted in CA&E colors, and the interurban took over all service here from 1951-57. While I’m not sure of the exact location, we are looking to the northwest along that portion of the CA&E main line, where it ran parallel to the CGW through Bellwood and Maywood. We are looking west, with the IHB crossing in the background. 25th Avenue would be behind us, and Madison Street is to our left. 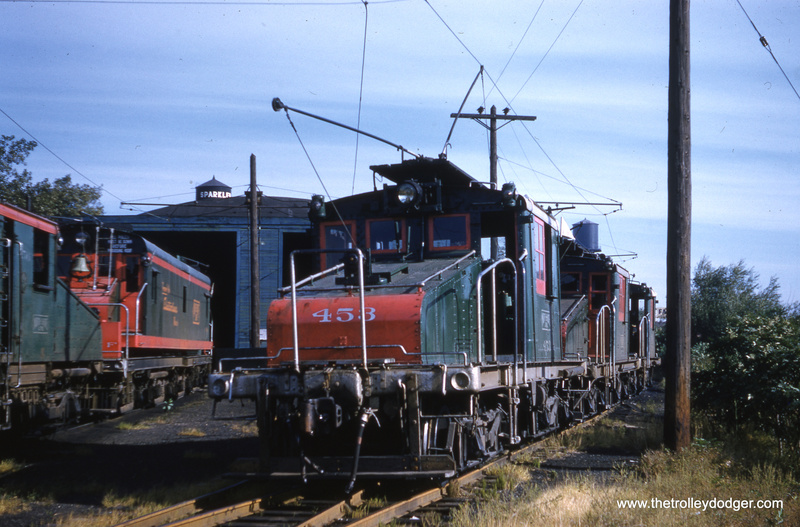 Here, the CA&E ran parallel to the CGW. The Illinois Prairie Path runs here now. A westbound Westchester car passing under the Indiana Harbor Belt. 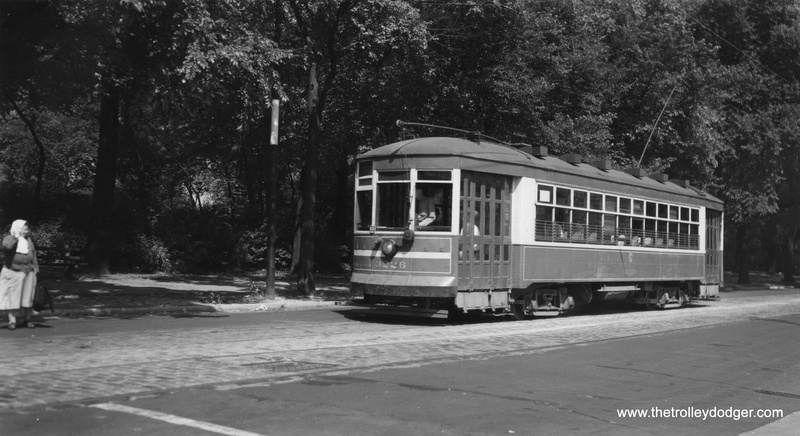 The two lines were grade separated in 1930-31. This is now the site of the Illinois Prairie Path. A southbound Westchester train crosses Madison Street in Bellwood, where Marshall Avenue begins today. The house at right is still standing. 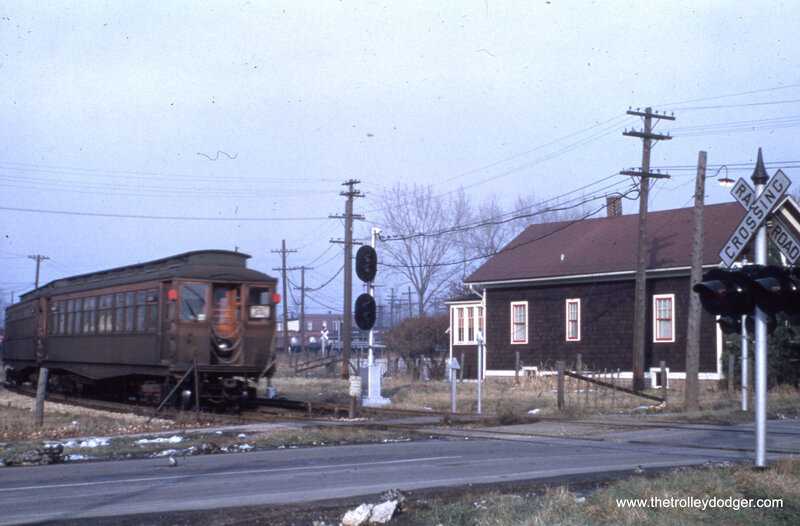 The Bellwood station was just north of here, near where the line merged back into the CA&E main line. We are just west of Bellwood Avenue. 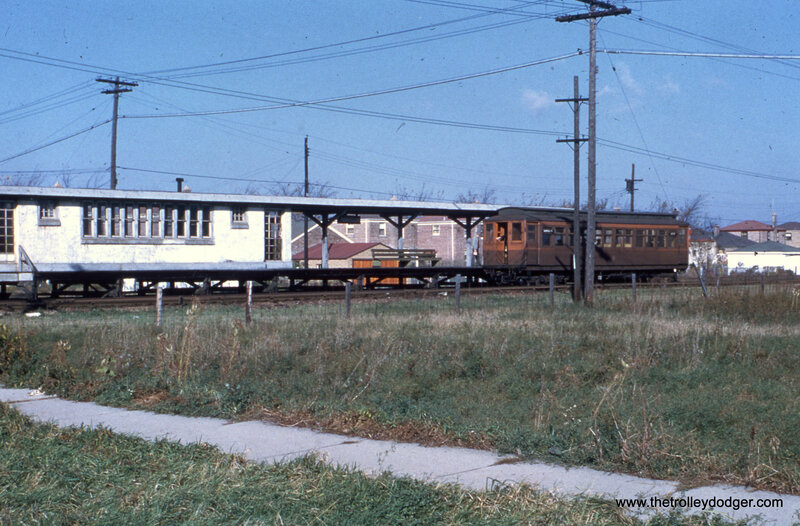 A northbound train at Harrison Street, with new postwar housing in the background. In the foreground, sidewalks that were already about 20 years old go past an empty lot. Westchester car 2814 heading south at Harrison. A small child in blue jeans waits for the train to pass. 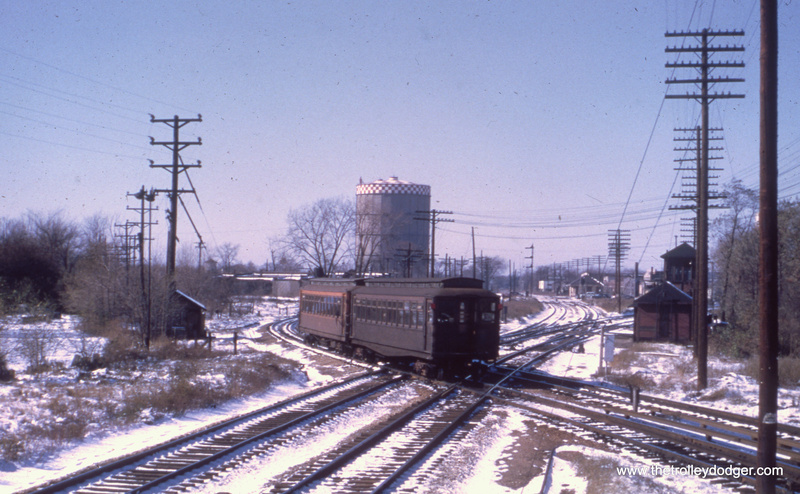 A southbound single car passes storage tracks just north of Roosevelt Road, which was the original terminal before the line was extended in 1930. 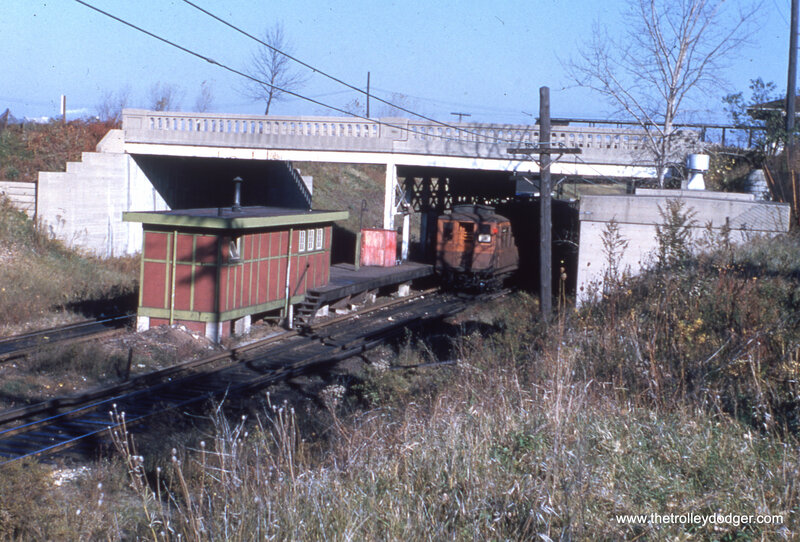 A single Westchester car passes under the Illinois Central near the Roosevelt Road station. 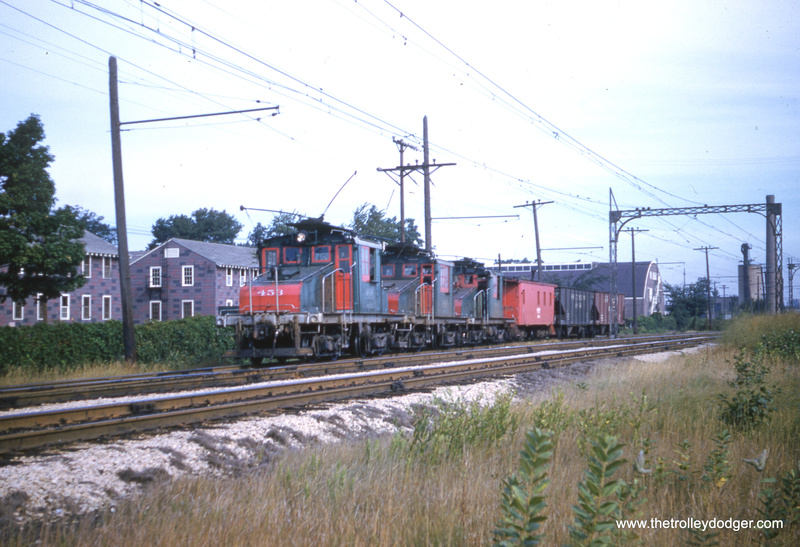 A two car train passes under the Illinois Central near the Roosevelt Road station. Here we see the south end of the Roosevelt Road station. A single car at the Roosevelt Road station. Here, we are just south of Roosevelt Road, at the beginning of double track. We are just south of the Roosevelt Road station looking north. From here to Mannheim and 22nd, it was single track. 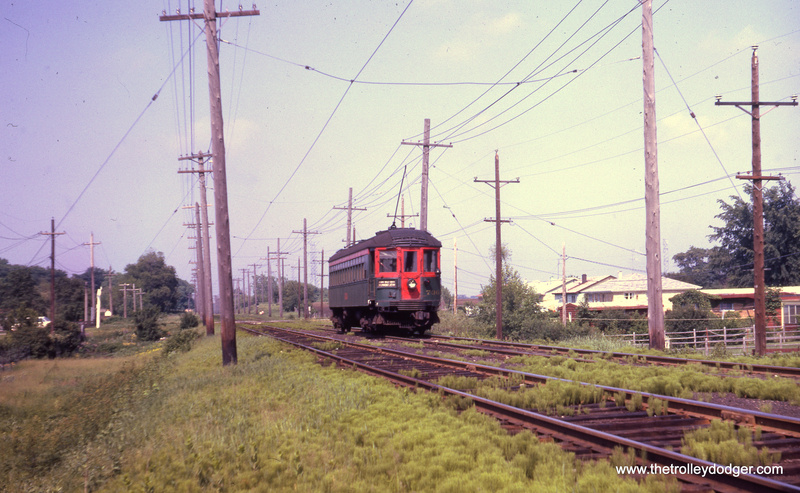 The Chicago & West Towns Railways also had some private right-of-way in the western suburbs. 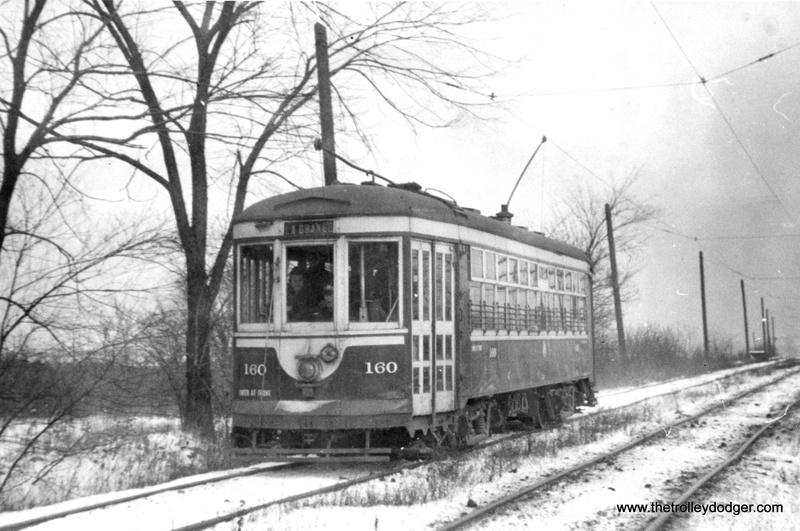 Car 160 is shown near LaGrange in December 1945. PS- You can read more about Acme Worm Bouncer here. You can also see some additional pictures of the Westchester branch here. 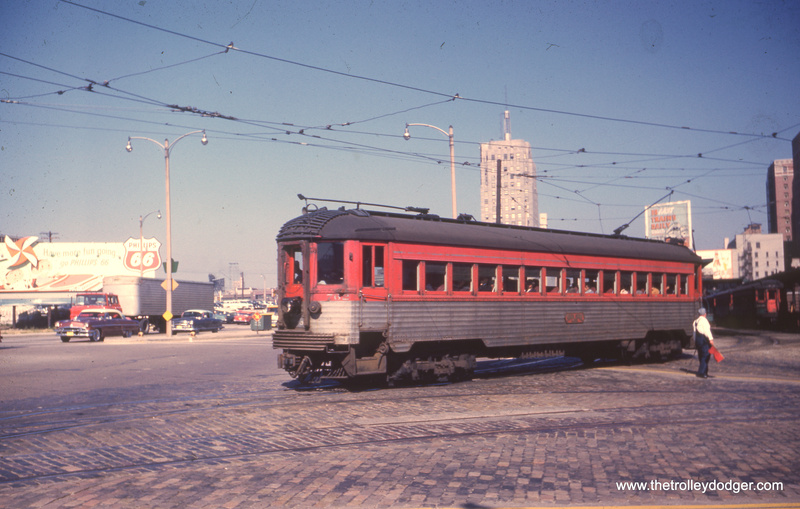 Chicago’s last streetcar ran in 1958, but while they lasted, they were a popular subject for railfan photographers. Today, they are artifacts of a time gone by, of neighborhoods, people, and fashions that were once so commonplace that few people took any special notice of them at the time. Pictures like these are still coming out of the “woodwork,” and we have taken the opportunity to compile a sampling of them here for your enjoyment. Perhaps they will stimulate your memory if you are old enough to recall some of these times and places firsthand. If you are younger than that, we hope they will pique your curiosity. If you can help us out with some of the missing locations, information or other trivia about what you see, we look forward to hearing from you with your comments. PS- Clicking on each picture will bring up a larger version in your browser. 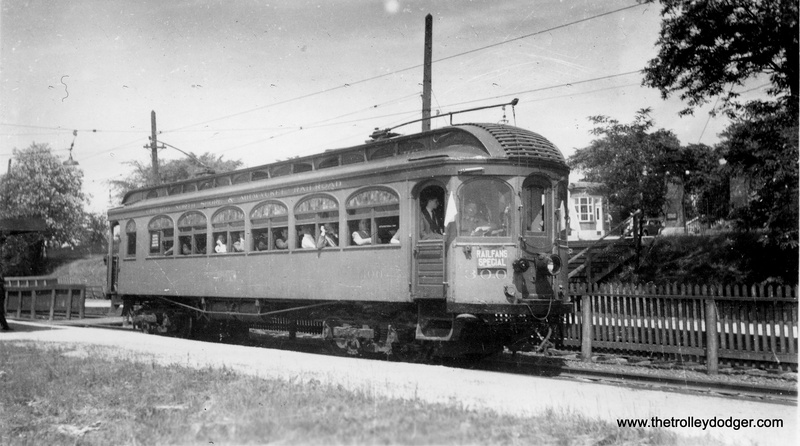 CSL 840 on Ravenswood Avenue at Rose Hill Cemetery on the Lincoln route circa 1947. 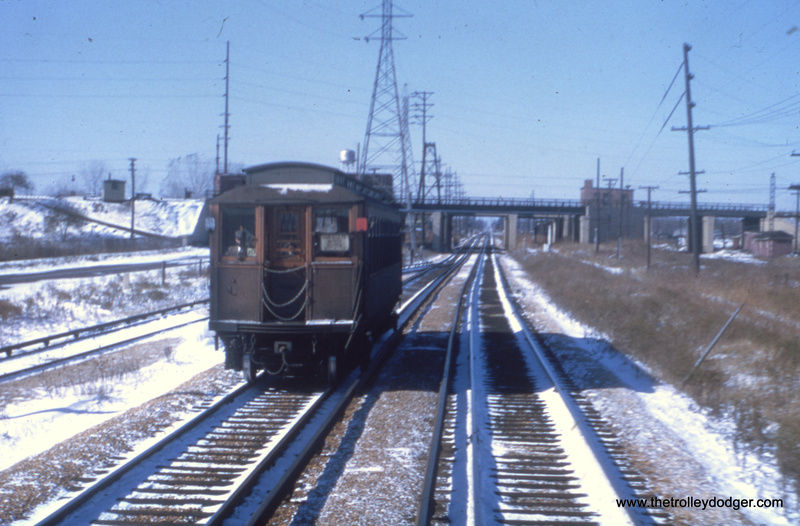 CSL 282 crossing the Illinois Central right-of-way in 1940. CTA 684 at the “Museum Loop,” the eastern terminal of Route 12. Lake Shore Drive and the Field Museum are to the right, with the Illinois Central tracks at left. 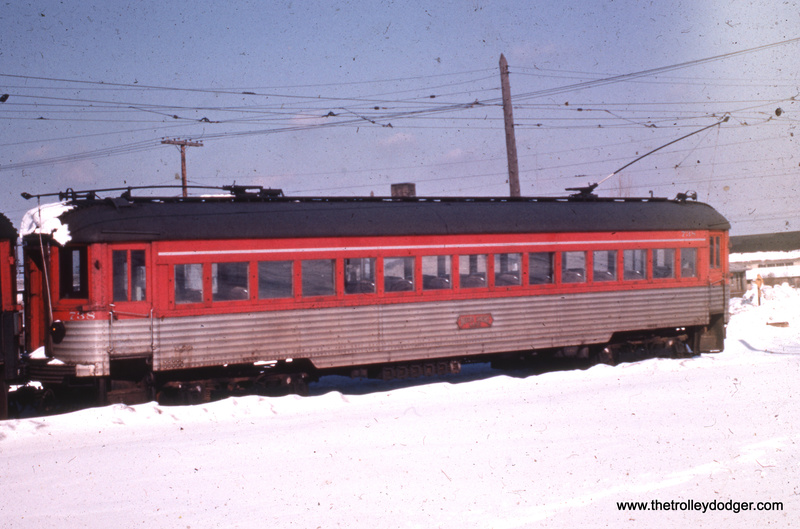 CSL 1775 in 1942, sporting the first of three patriotic paint schemes for this car. 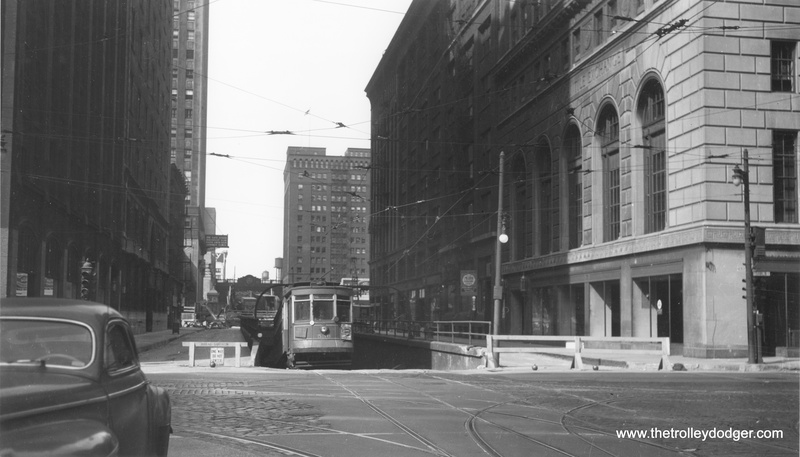 CSL 536 eastbound on Washington at Franklin in the 1940s, emerging from the tunnel that took streetcars under the Chicago River. 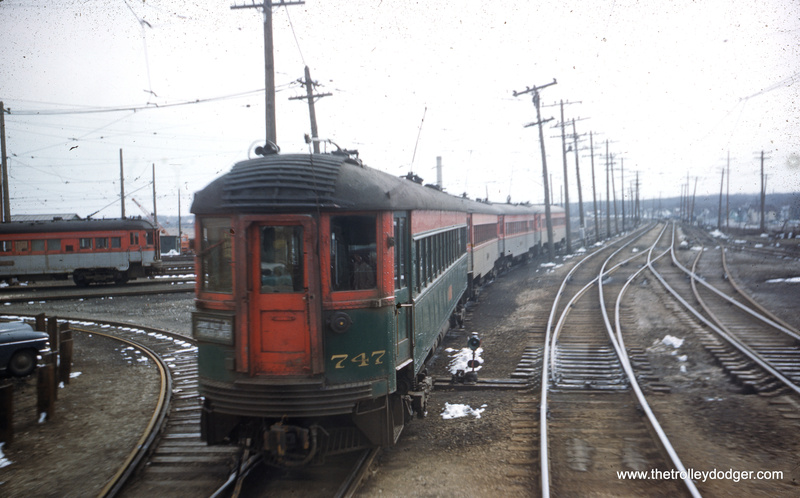 CTA 78 is shown at the east end of the Madison-Fifth shuttle in February, 1954. 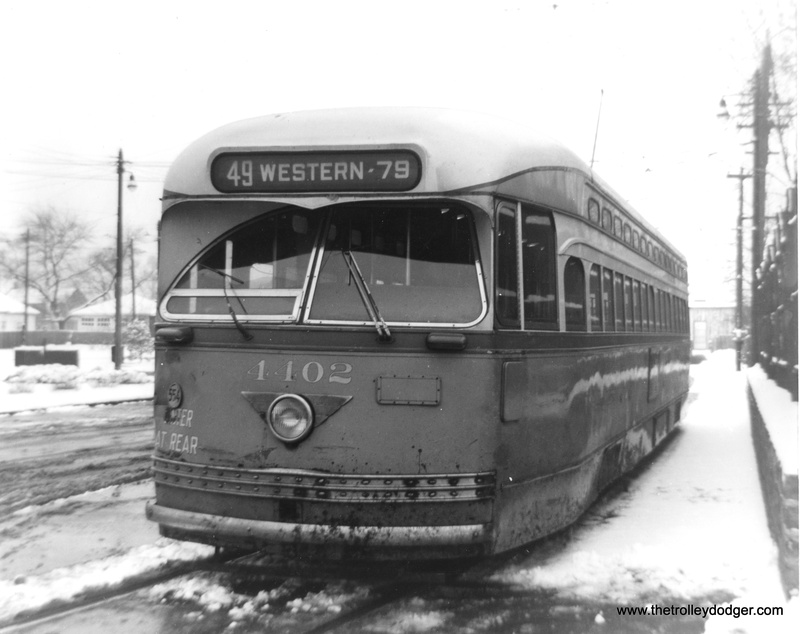 But wait– wouldn’t car 78 be on the Hammond, Whiting, and East Chicago? In actuality, I think this is car 1781. Perhaps part of the number has fallen off. 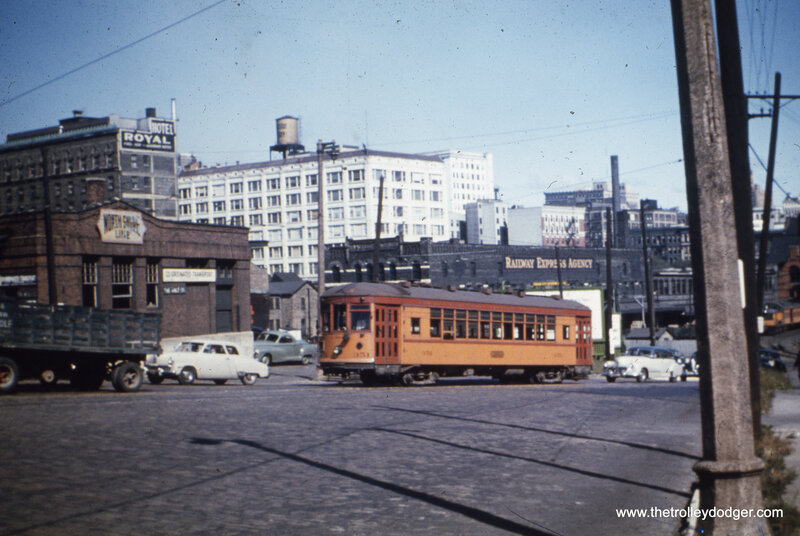 At left in the background you can see Fohrman Motors, a Chicago car dealer from 1912 to 1979. Three people were killed at the dealership by a disgruntled customer on January 7, 1966. The neighborhood, not far from the construction site for the Congress (now Eisenhower) expressway, is already showing signs of urban decay. We discuss this in our post Some Thoughts on “Displaced” (August 30, 2016). 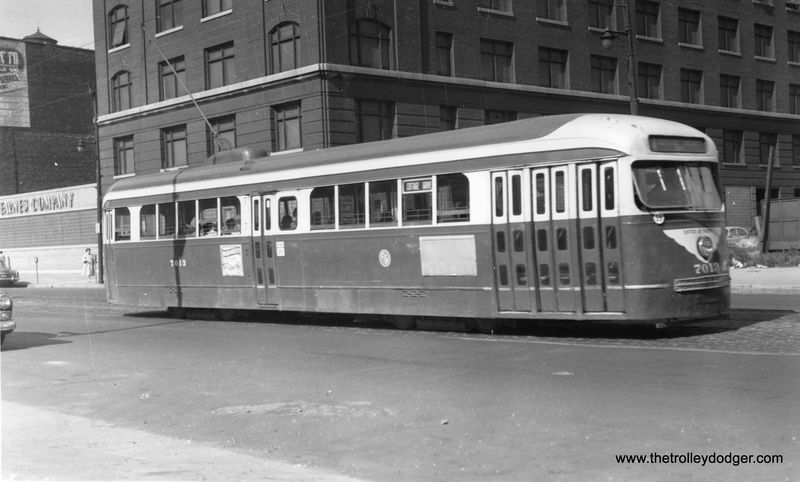 CTA 7013 on Wabash Avenue at 14th on August 6, 1954. 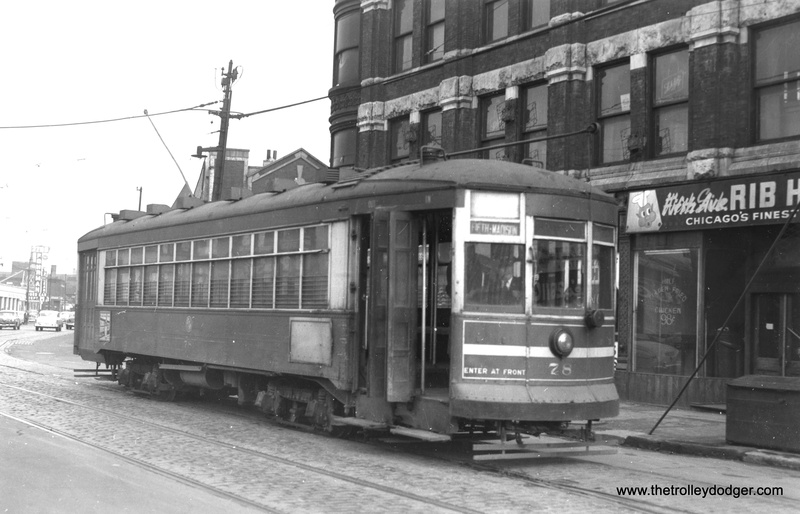 CTA 4402 at the Western-Berwyn loop. 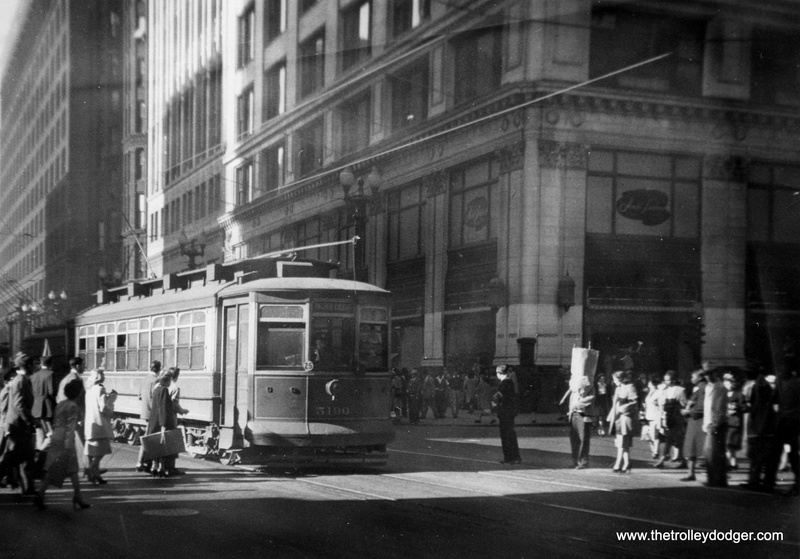 CTA 4340 southbound on State Street in 1947. 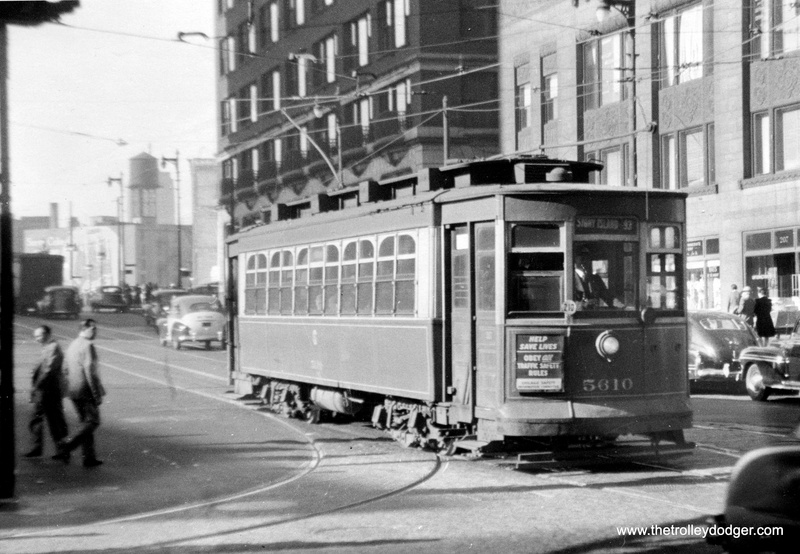 CSL 4051 is shown with an experimental door arrangement, which was tested on the busy Milwaukee Avenue car line. 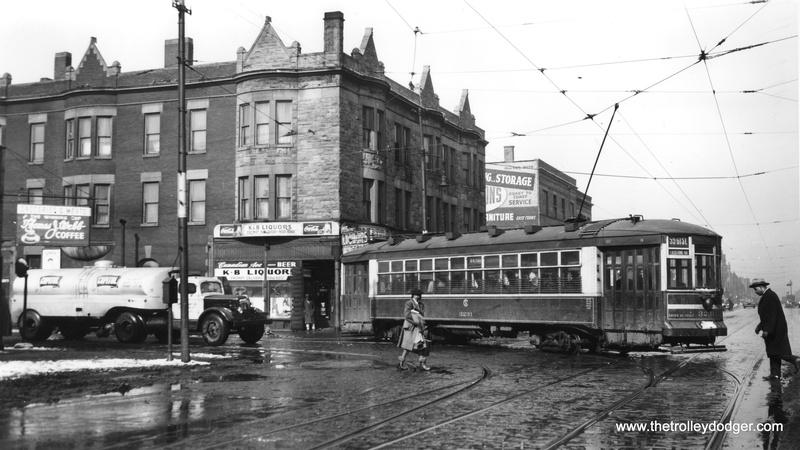 For many years, the Englewood “L” ended at 63rd and Loomis. 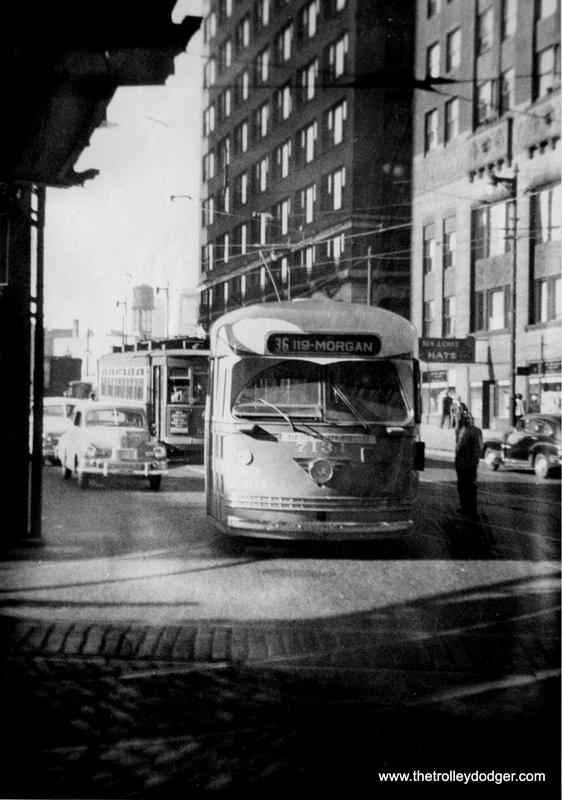 In 1969, the CTA sensibly extended it a couple blocks west to Ashland, a more logical transfer point. 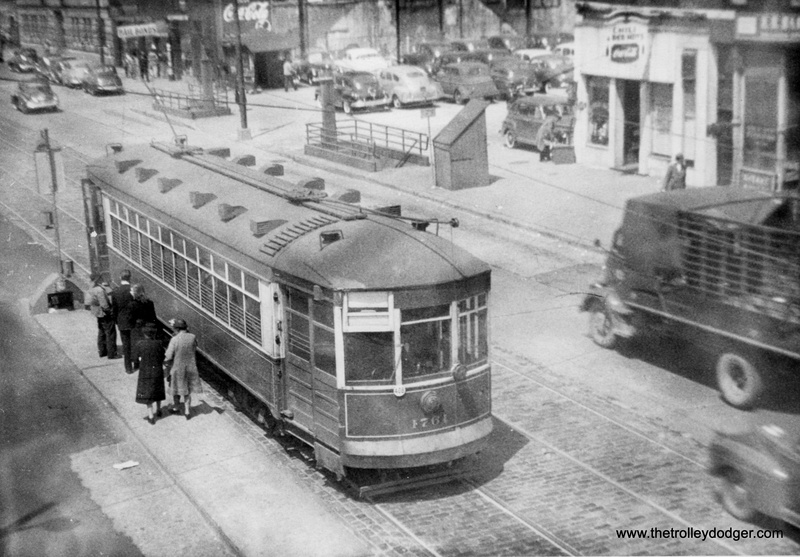 A prewar PCC on 63rd Street heading eastbound. My guess is this would be 63rd street. 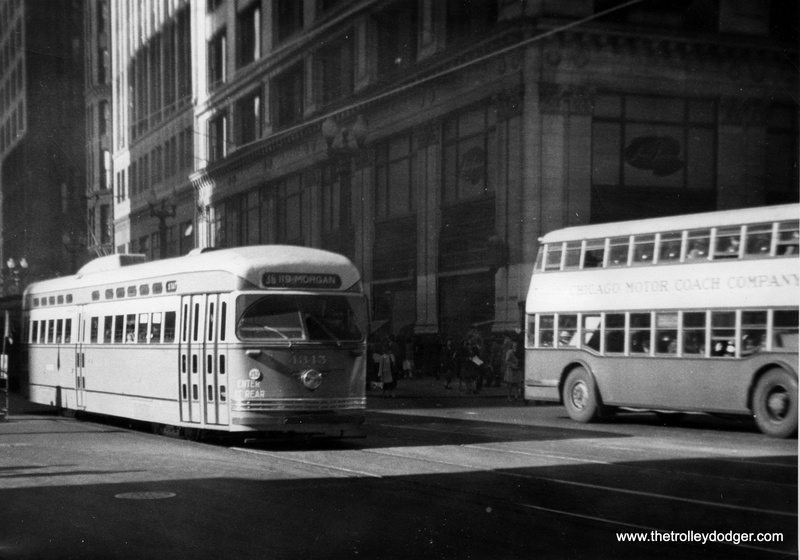 Even after the CSL and CRT were merged to from the Chicago Transit Authority in 1947, there remained another privately owned bus operator, the Chicago Motor Coach Company, who operated double-decker buses on some of their routes. 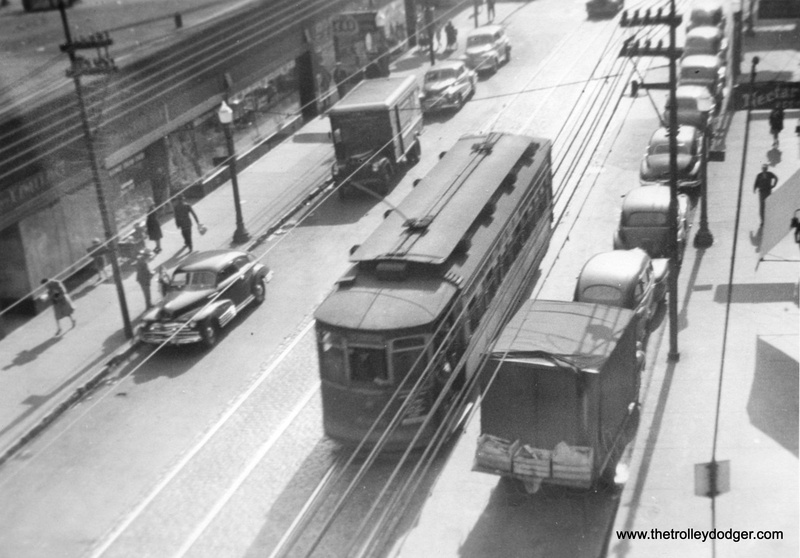 CTA purchased the Motor Coach operations in 1952. 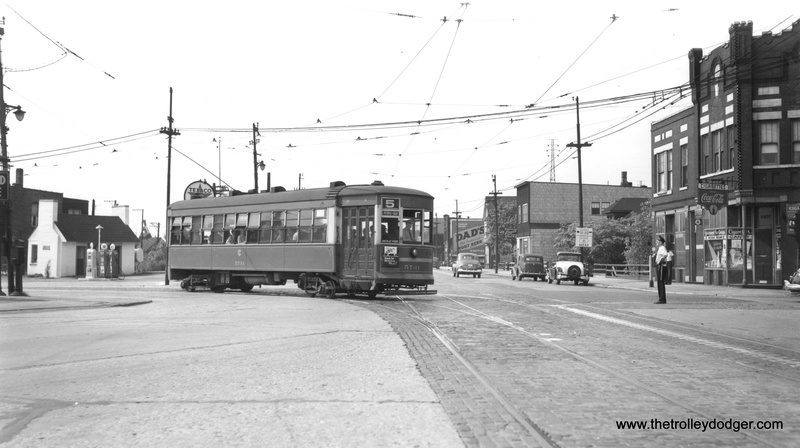 In 1933, the Roosevelt Road streetcar was extended over the Illinois Central right-of-way in order to reach the “A Century of Progress” World’s Fair and what we now call the Museum Campus. 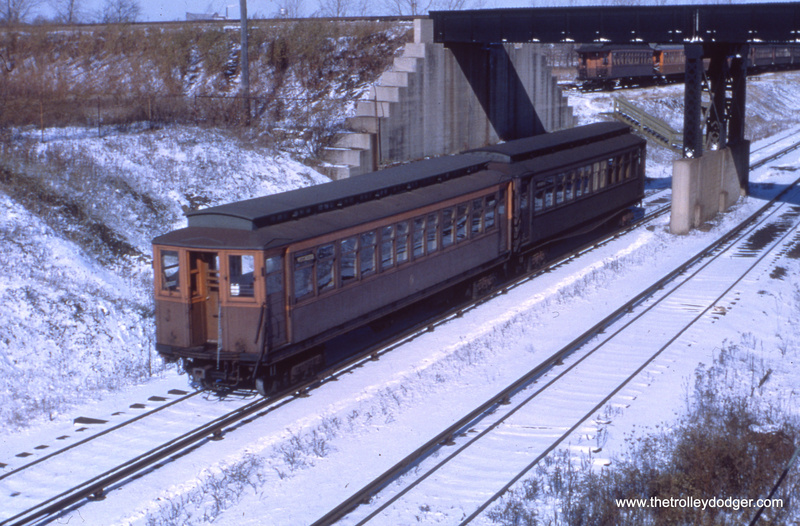 The CTA “Farewell to the 2400s” train at Kimball and Lawrence on January 21, 2015. The Chicago Transit Authority’s 2400-series cars first entered service in 1976, shortly before the first Mayor Daley died. For many years, they were workhorses of the fleet, but have experienced a kind of “long goodbye,” to paraphrase the title of a book by Raymond Chandler. Still, the idea of a final “farewell trip” like the one for the 2200s retirement had a lot of appeal, and it is much to CTA’s credit that they did things up right. The cars that were in the best shape were chosen for a ceremonial last trip in regular service, which took place on January 21, 2015. You can read the service bulletin for the trip here, and also a CTA handout from the trip, giving the history of the 2400s. We’ll operate a ceremonial late-morning trip on the Loop for those who wish to take part in the celebration. The train will pick up passengers at about 10:20am at Washington/Wells (Outer Loop/Brown Line side), make two trips around the Loop, then drop off its passengers back at Washington/Wells around 10:50am. No intermediate stops are scheduled for this ceremonial trip. The train will make one round trip on the Brown Line between Kimball and the Loop, making all stops. The train will make one trip from Howard to Ashland/63rd via the elevated lines and Loop. The train will make all stops along the Red Line thru Fullerton, the Brown Line thru Merchandise Mart, and then the Green Line from Clark/Lake thru Ashland/63rd. The train will then make one trip from Ashland/63rd to Howard via the State Street Subway—just like the old Englewood-Howard trains used to! The route will take the train on the Green Line from Ashland/63rd thru 35th-Bronzeville-IIT, then onto the Red Line from Roosevelt thru Howard, making all stops along the way. 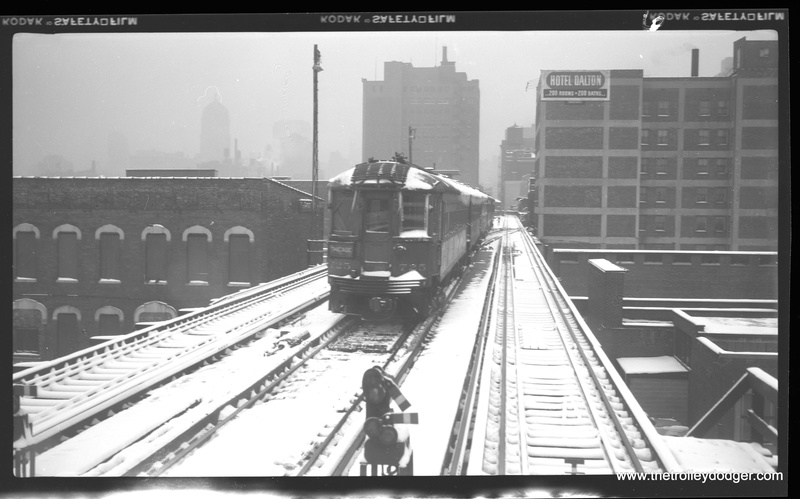 4:32pm – Train routes into Red Line subway via old incline near 13th St. I decided to ride the Ravenswood portion of the journey. I met the train Downtown and caught up to it on the second of its two trips around the Loop. However, this was at Adams and Wabash, where the train did not stop. We were poised for a quick turnaround at Kimball when unfortunately one car got “tagged” with spray paint and was quickly removed from service. 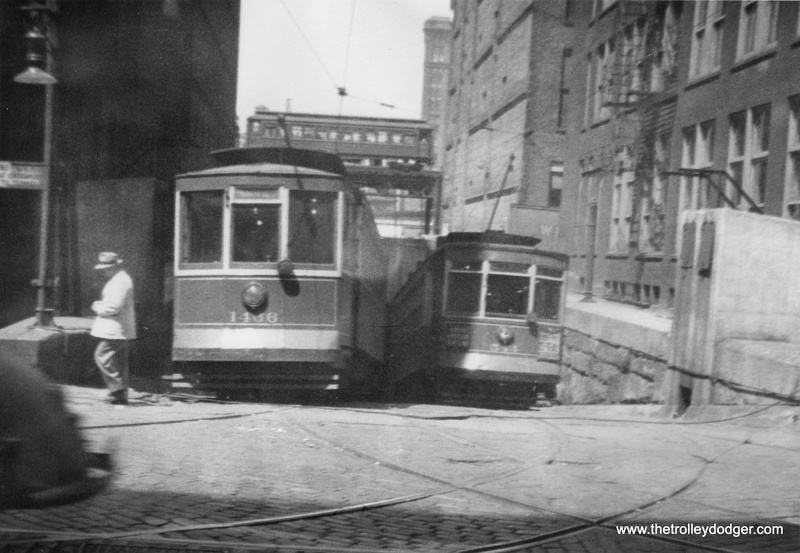 Two cars were cut out and put in the yard for cleaning, leaving an 6-car train for the trip to the Loop and back. I rode the train Downtown and got off at Adams and Wabash. So, while I did not ride on the remainder of the trip, which was to feature the “old” Howard-Englewood routing among other things, I did ride part of the day’s trip. 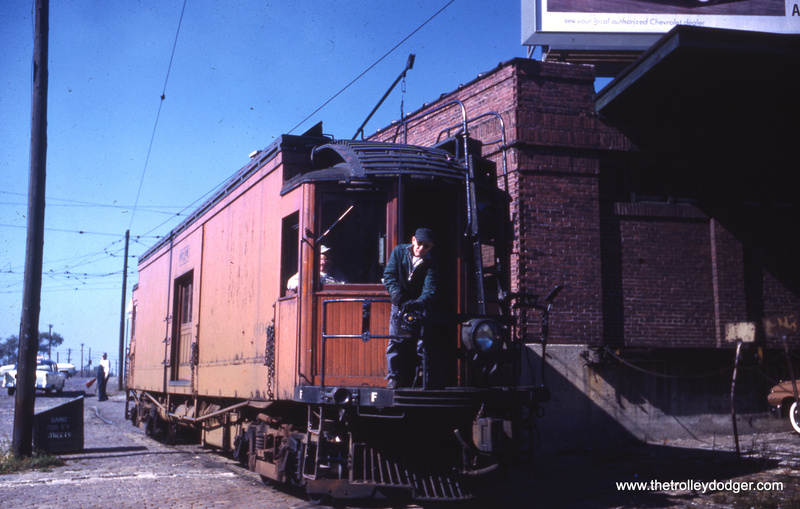 A fine time was had by everyone on board, and it was great to see so many familiar faces, all paying tribute to railcars that served faithfully and well for so many years, in contrast to others of similar vintage in other cities that did not. At least in this regard, we got some things right in the 1970s. 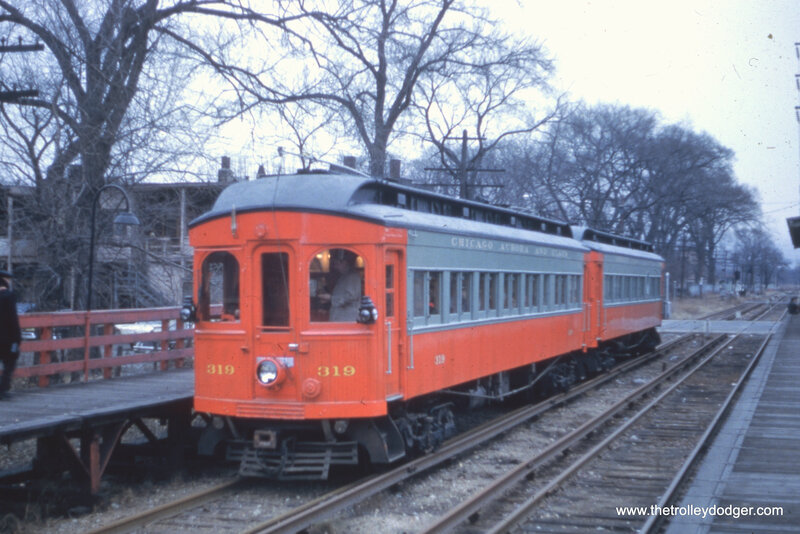 The 2400s set the standard for all the CTA railcars that have followed since. If they are not going to be missed as much as the 2200s, that is probably because even after all these years, they still blended in quite well with today’s equipment. But, when it comes to transit equipment, that’s what you want- evolution, not revolution. The “long goodbye” for these cars may not even be over yet, since the CTA may very well keep some of the 2400s for use in charter service, as part of their historical fleet. Meanwhile, I hope you will enjoy the photos and videos I took that day. The CTA crew did a fantastic job preparing the 2400-series cars for this trip. Authentic 1976-style system maps were recreated for this special trip. 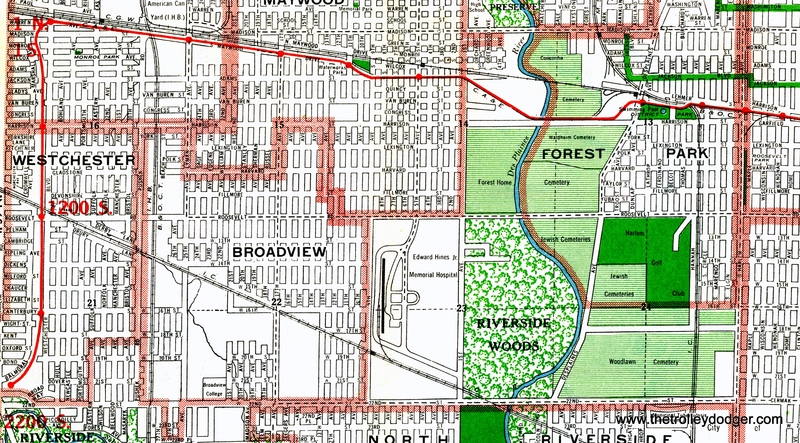 The Ravenswood (today’s Brown Line) map as it looked circa 1976. The cars were spotlessly clean. Fans mill about at the Brown Line terminal at Kimball and Lawrence. Just prior to one car getting “tagged” with spray paint. Graham Garfield, looking spiffy as usual in his authentic mid-1970s CTA uniform. Here, half of the 8-car train has been cut out in the yard, to remove the middle two cars (one of which had just been “tagged” with spray paint). 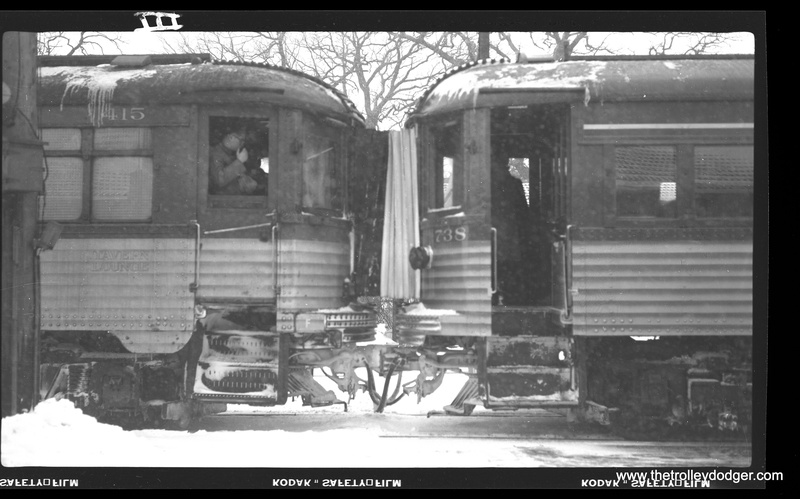 Later, two czars were coupled back on to form a 6-car consist while the other two cars were to be cleaned in the yard. Waiting for two cars to be recoupled. 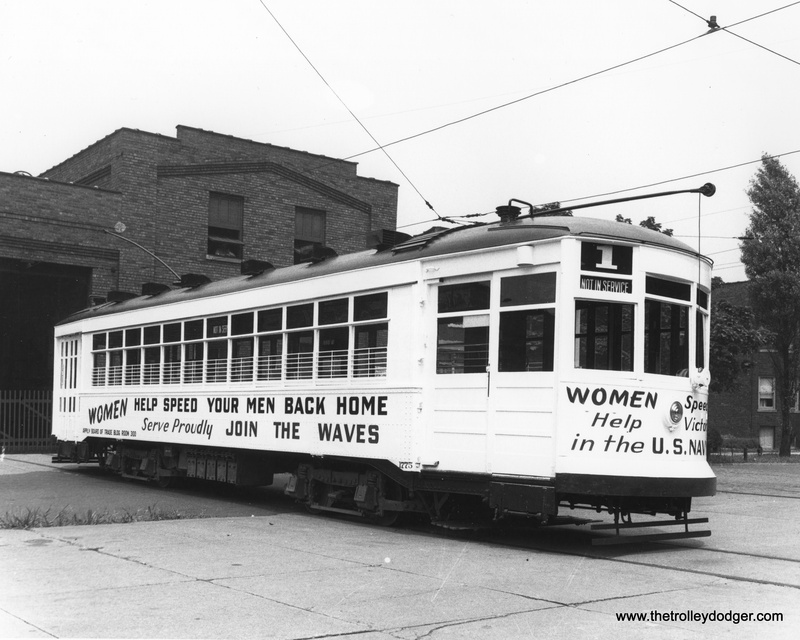 Fans board the train for its return trip south on the Brown Line. 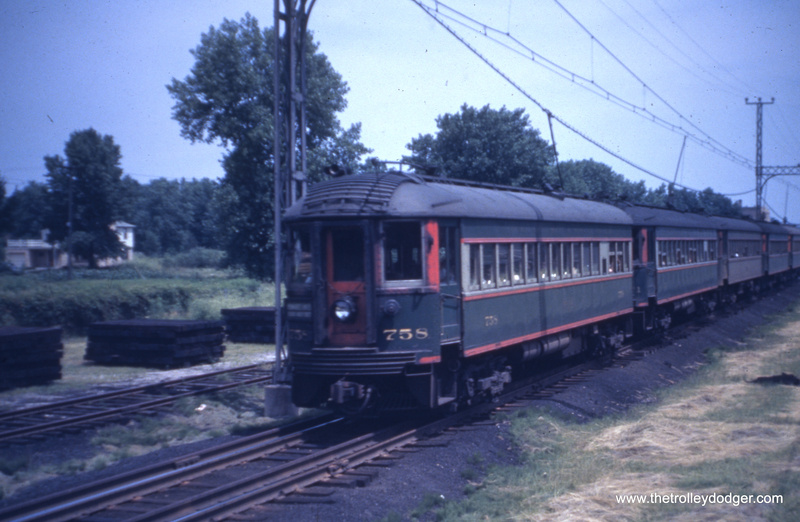 Car 736 on the Mundelein branch. 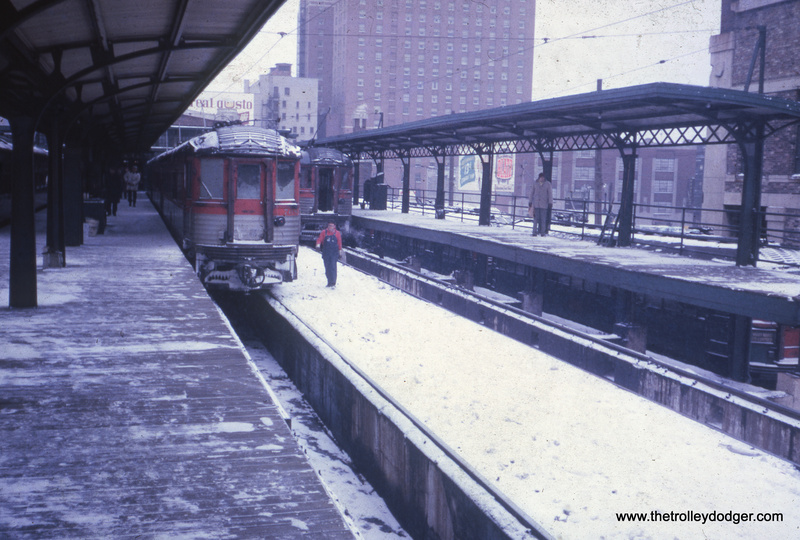 I was just 8 years old at the time, and never got the chance to ride the North Shore Line, but I have certainly appreciated it since I was a kid and learned of its demise. Still pictures are fine, but motion pictures have a remarkable ability to bring things from the past back to life. 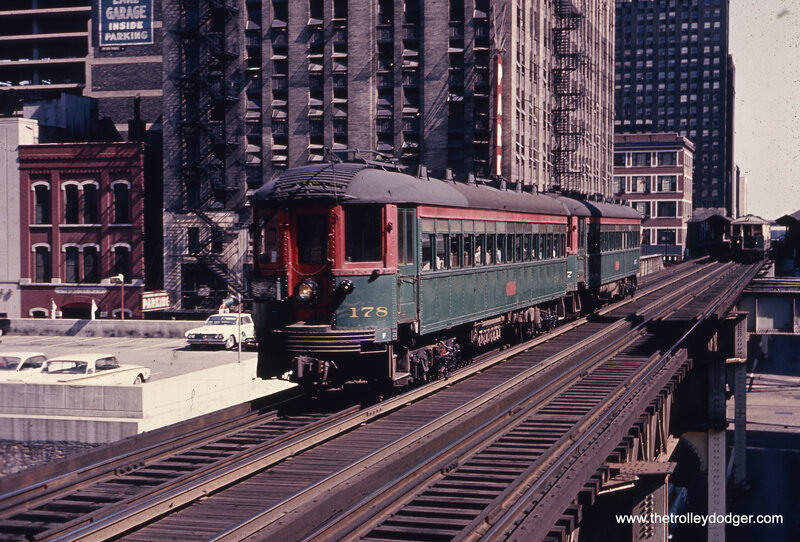 You too can experience the North Shore Line in motion by attending this Friday’s Central Electric Railfans’ Association program in Downtown Chicago. For further information, go here. Electric loco 453 heads up a short freight train. Silverliner 737 crawls along the bridge just south of the Milwaukee terminal. 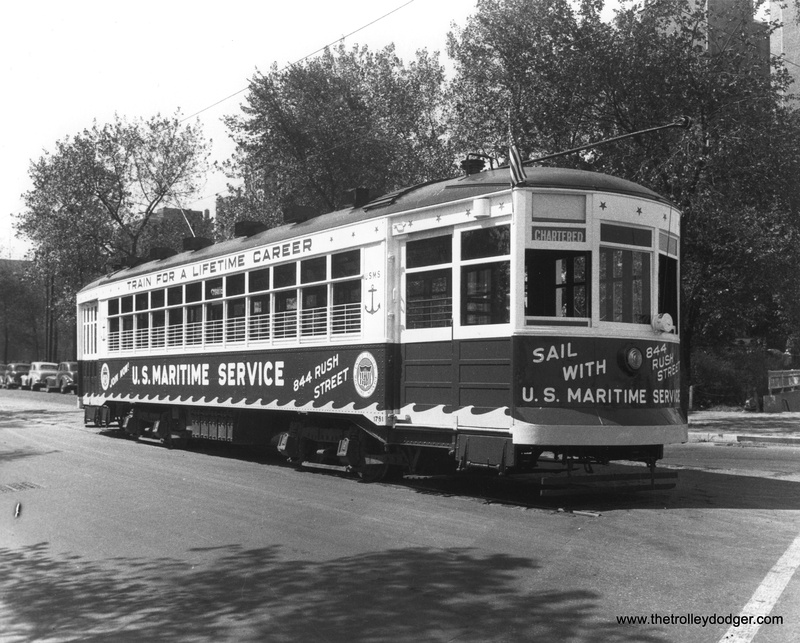 North Shore city streetcar 351 in Milwaukee prior to the abandonment of service on August 12, 1951. 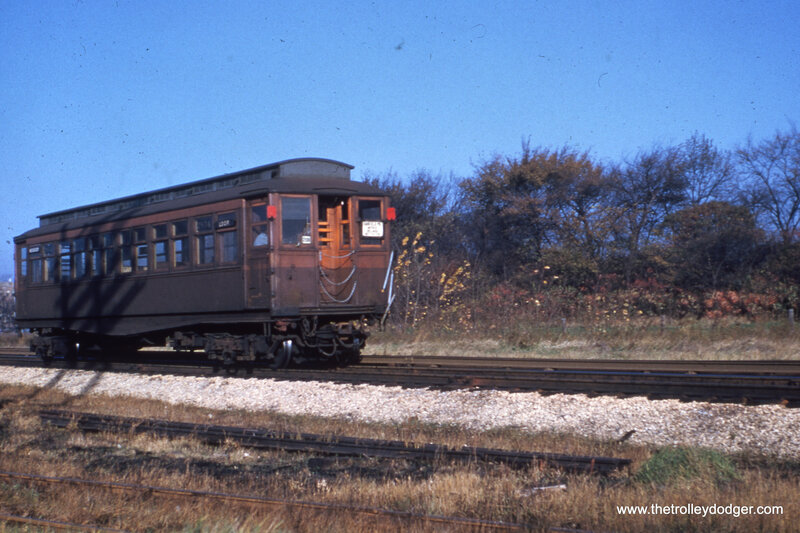 Sister car 354 is at the Illinois Railway Museum. 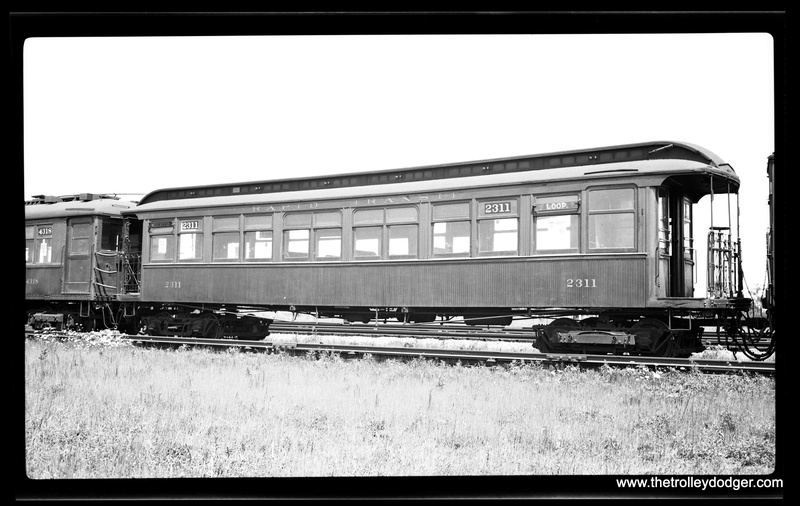 According to Don’s Rail Photos, “(Birney) 327 was built by Cincinnati Car Co in December 1922, #2625. 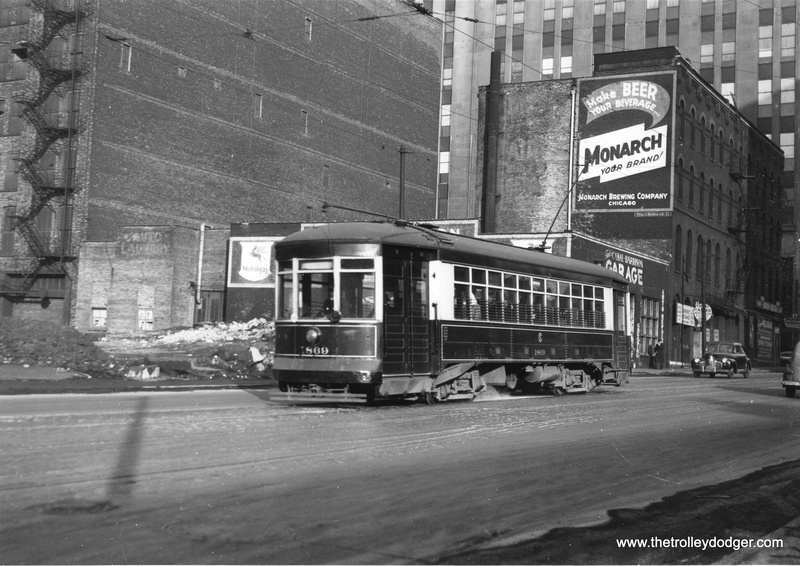 It was retired in 1947 and scrapped in April 1948.” It was lettered for Chicago & Milwaukee Electric since that was the franchise holder. CNS&M 178 heads up a two-car train on Chicago’s Loop. The 4000s in the background are heading in the same direction as the North Shore train. Cars at Highwood, the North Shore headquarters. 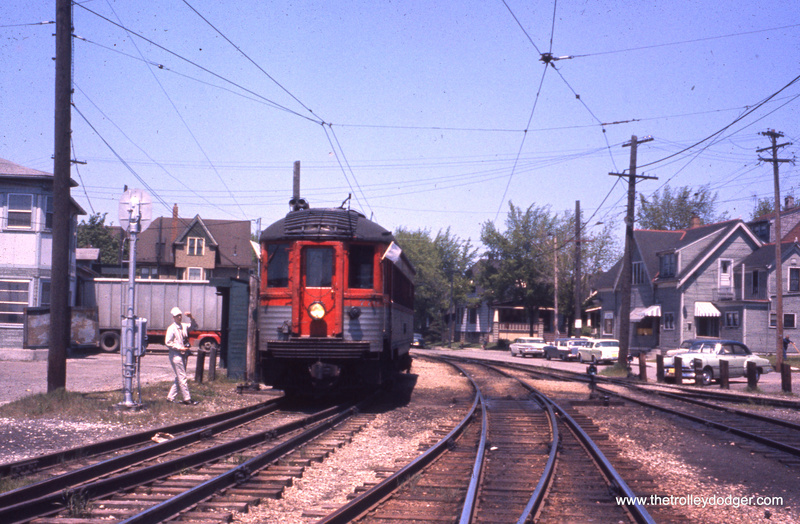 A photo stop on one of the many North Shore Line fantrips in later years. Silverliner 762 gets flagged through the busy “throat” of the Milwaukee terminal, circa 1960. Silverliners at the Milwaukee terminal. Another fantrip train. Perhaps one of our knowledgeable readers can identify the location. 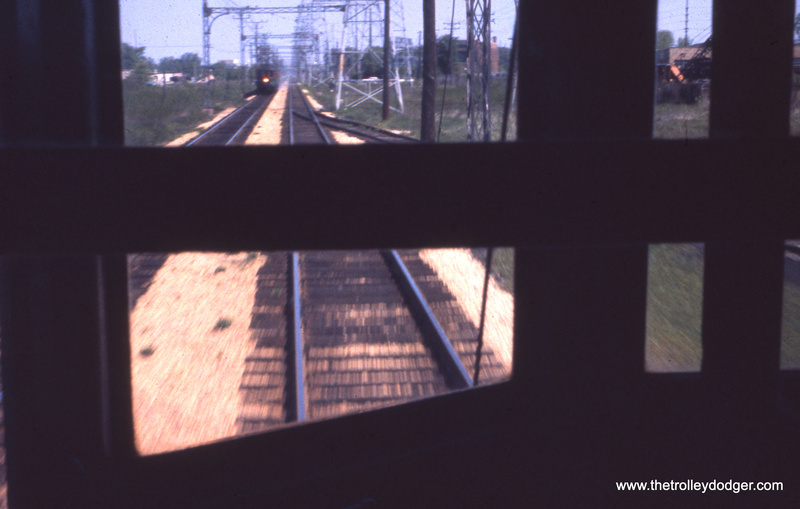 A “railfan’s view” along the Skokie Valley Route. Silverliner 738 in the snow. CNS&M 747 heads up a Chicago Limited. 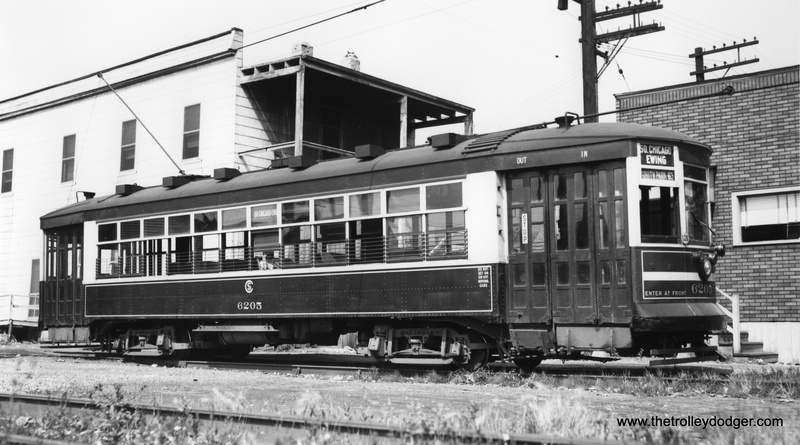 Car 758 heads up a train in 1941. Electroliner 801-802 passes Tower 18 on Chicago’s Loop. Perhaps one of our keen-eyed readers can help identify this location. Another view of CERA club car 300 on an early fantrip on the Shore Line route. Silverliner 768 at the Milwaukee terminal. 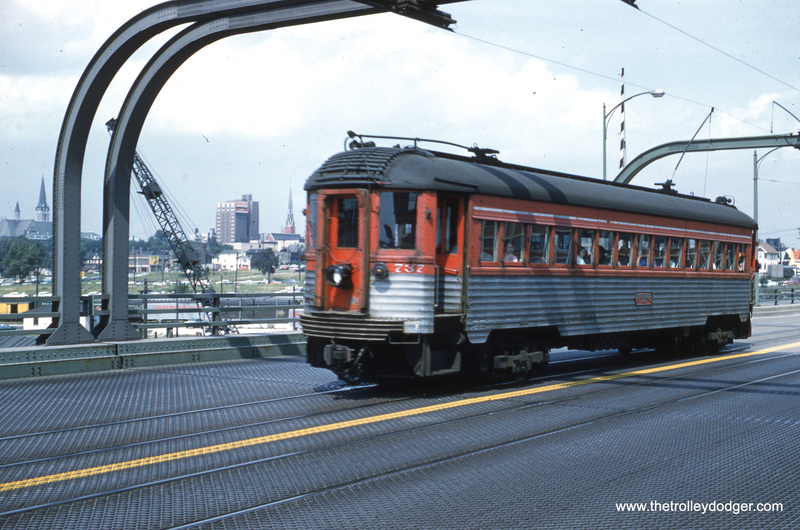 This slide was processed in January 1963, meaning this could be the last day. You’ve probably seen “first day of issue” stamp covers before, but this is kind of the opposite. 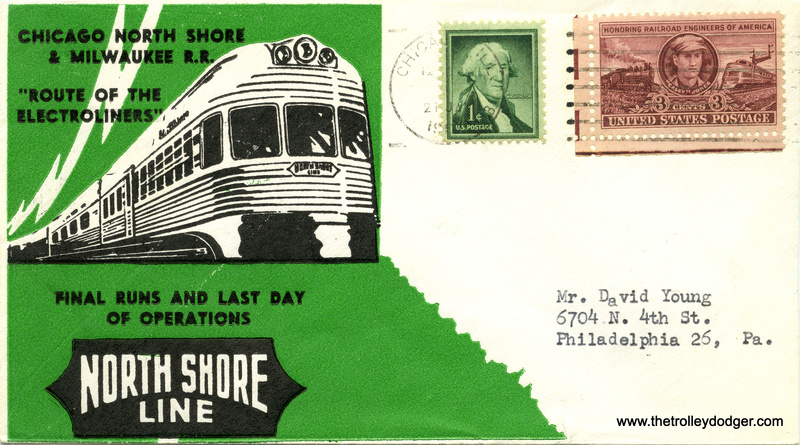 Some railfans mailed these commemorative envelopes to themselves on January 21, 1963, the day the North Shore Line finally passed into history.